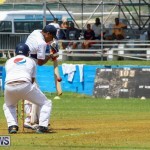 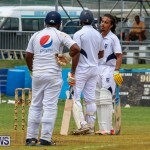 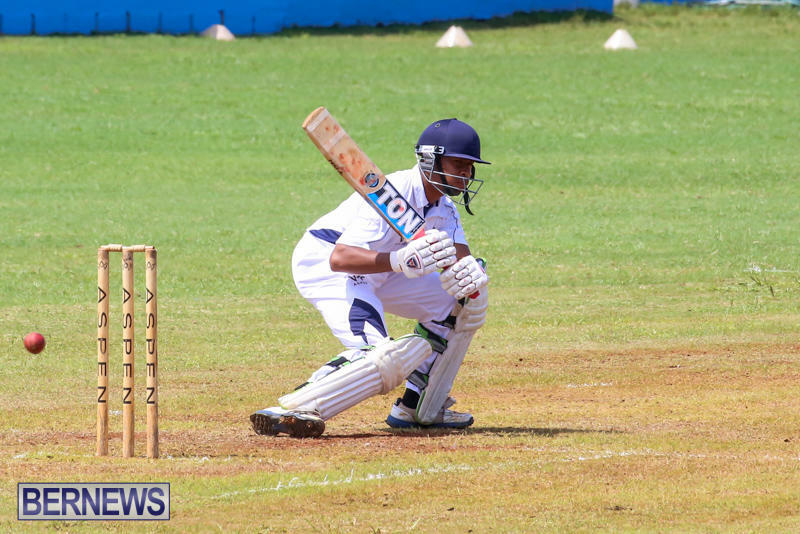 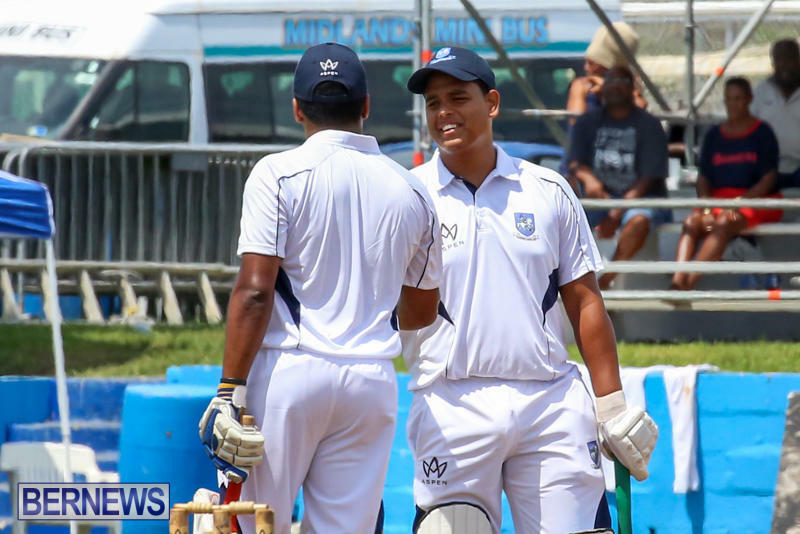 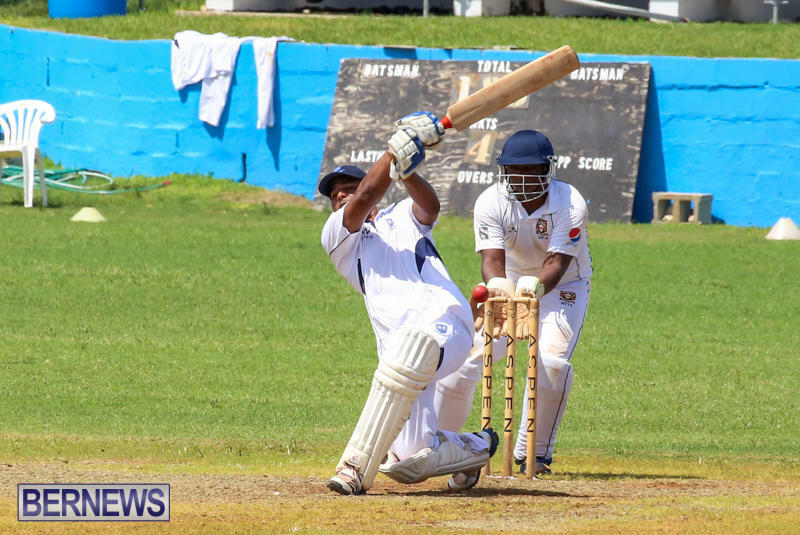 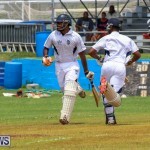 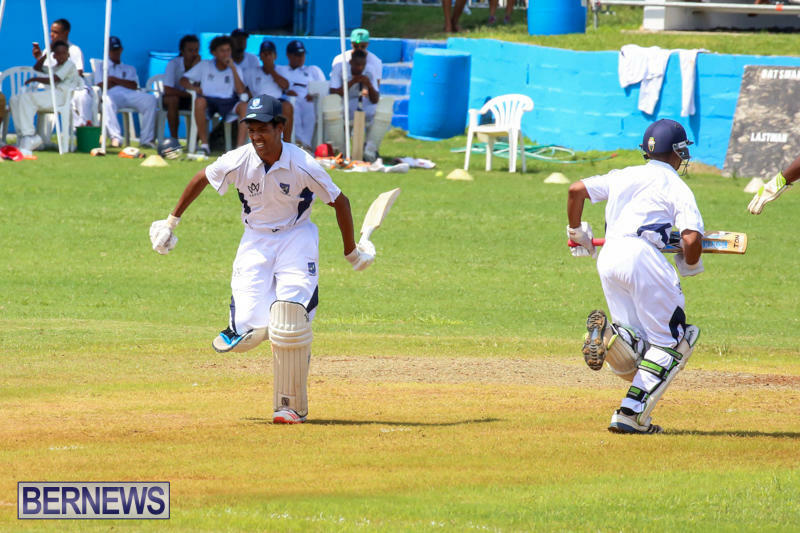 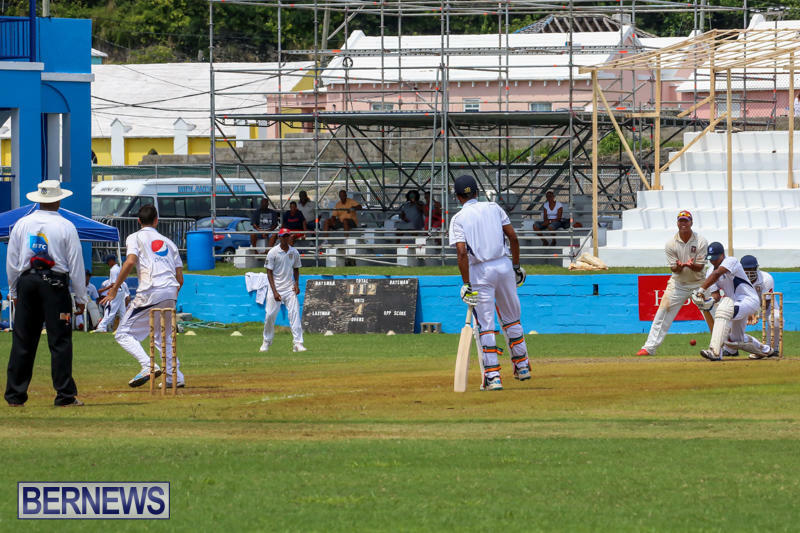 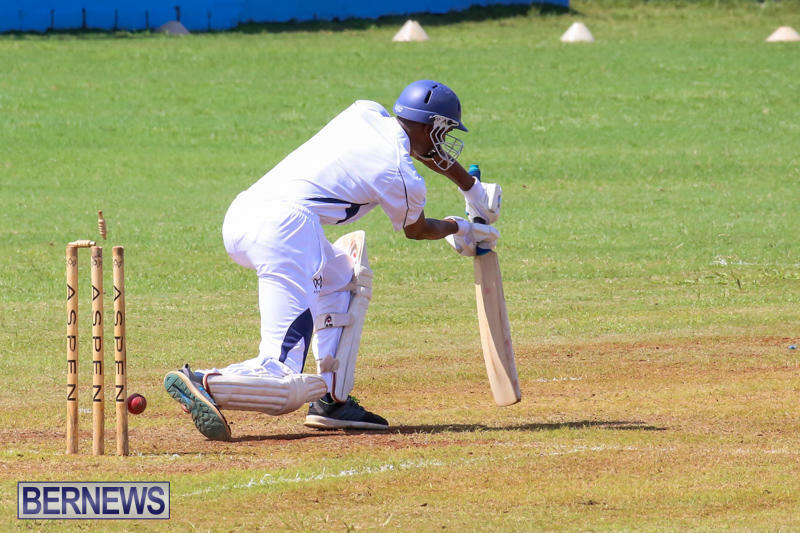 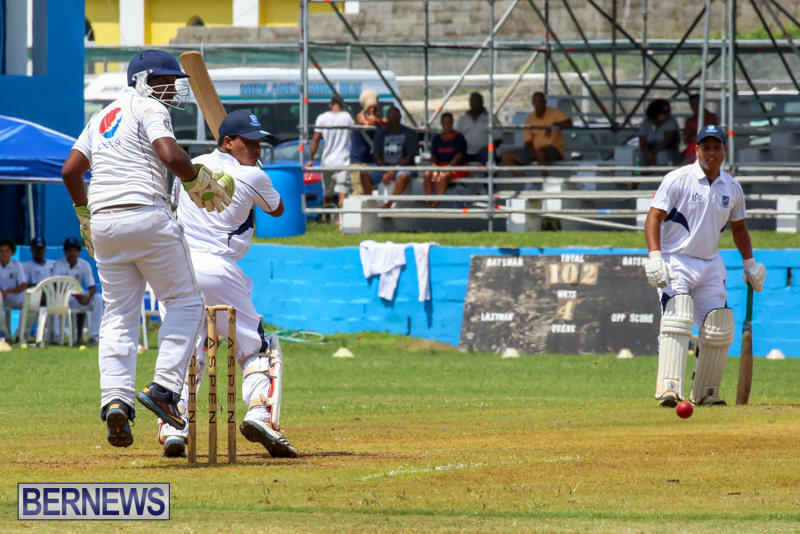 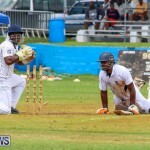 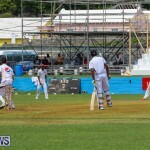 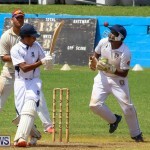 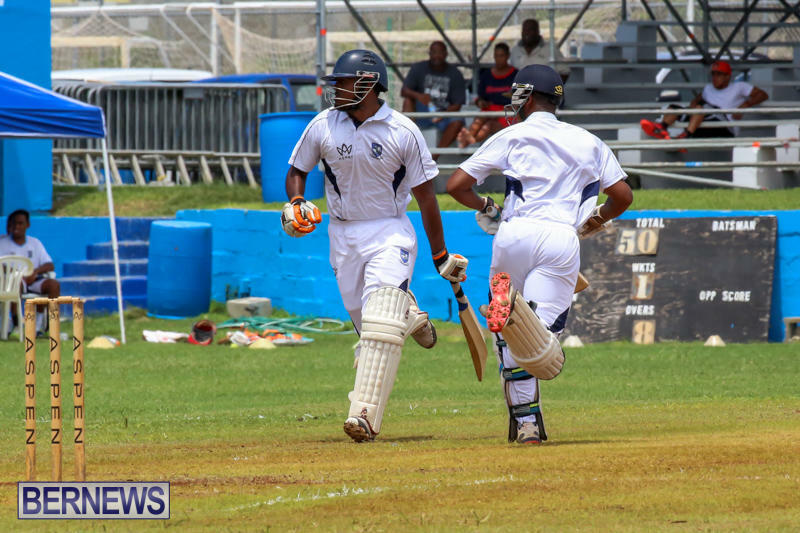 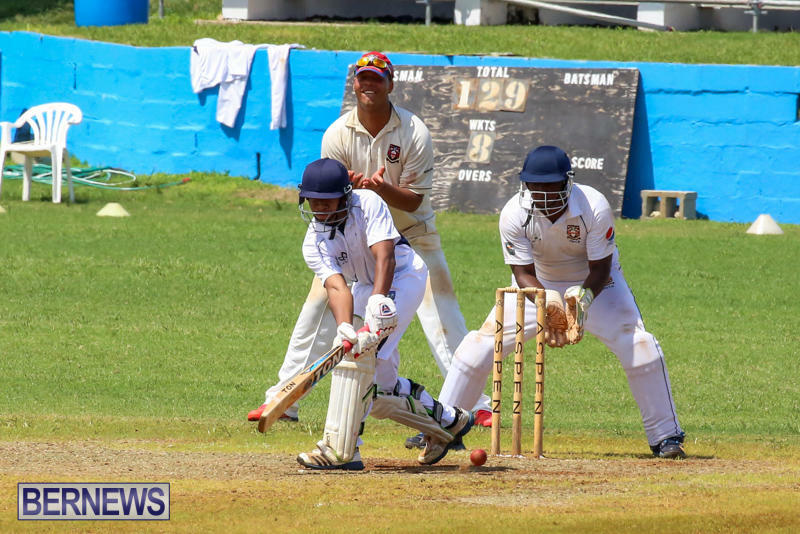 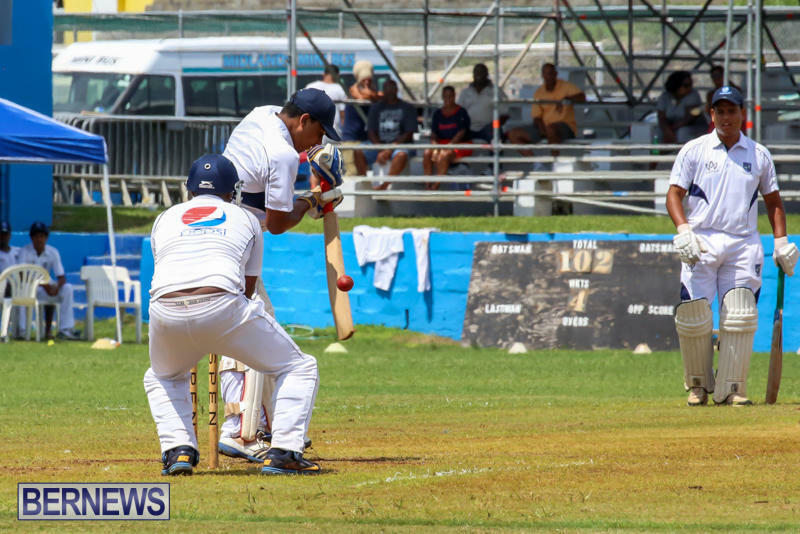 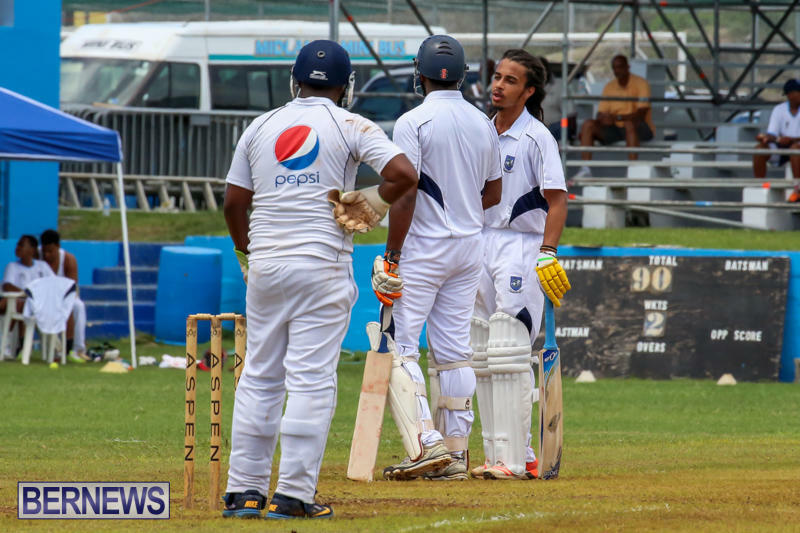 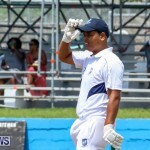 At the Wellington Oval this afternoon [July 26], St. George’s Cricket Club batted first in the 2015 Colts Cup Match and were bowled out for 158. 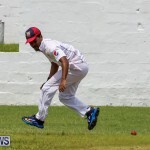 Keishon Smith was the top scorer with 41 while Okera Bascome added 25. 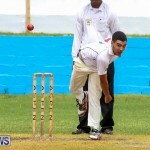 Justin Corday returned bowling figures of 11-0-60-5 while Justin Donawa bowled 8.1-0-31-4. 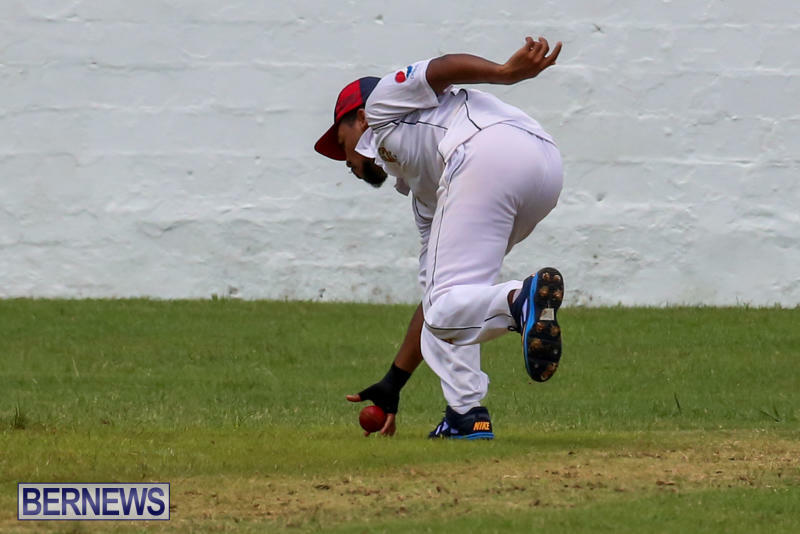 In reply, Somerset Cricket Club found themselves 56/6 as the game entered the final 20 overs, a 55 run 7th wicket partnership held things together for the Cup Holders as they were able to score 122/8 when the stumps were drawn. 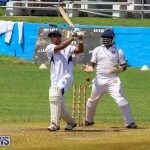 Antonio Darrell was the top scorer with 32, while Kamal Easton added 22. 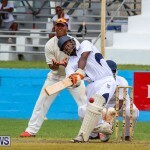 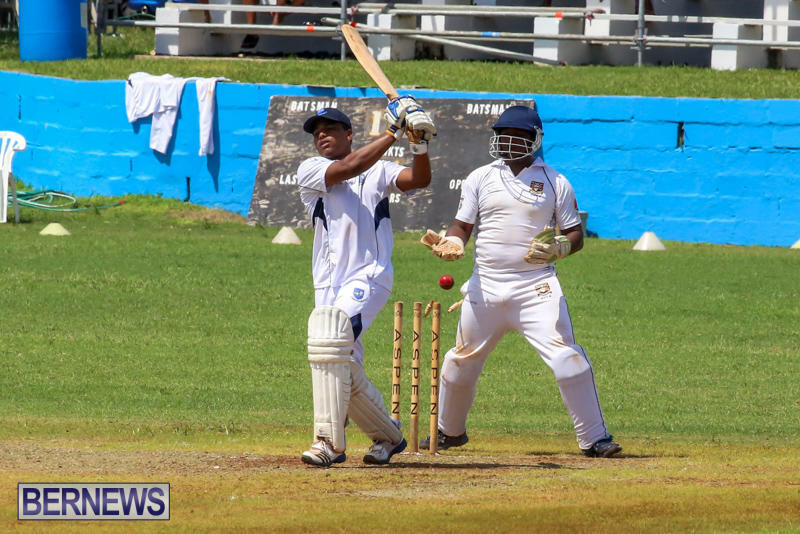 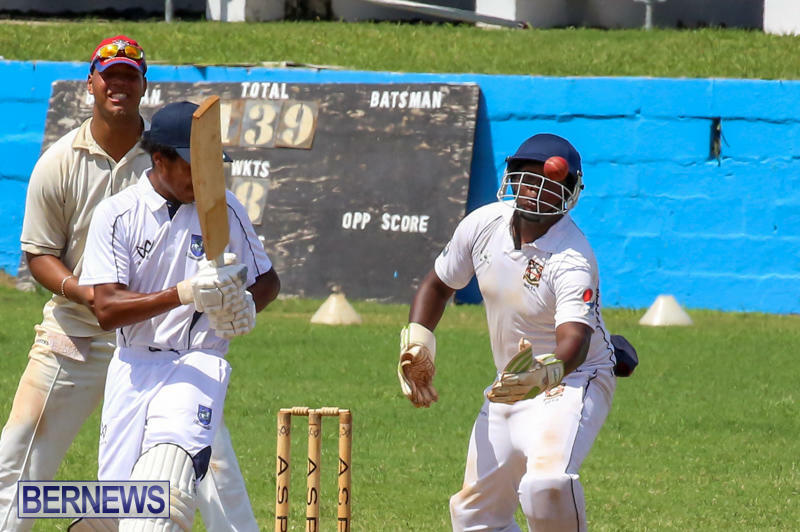 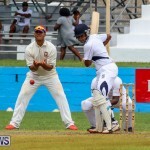 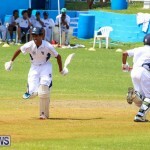 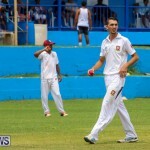 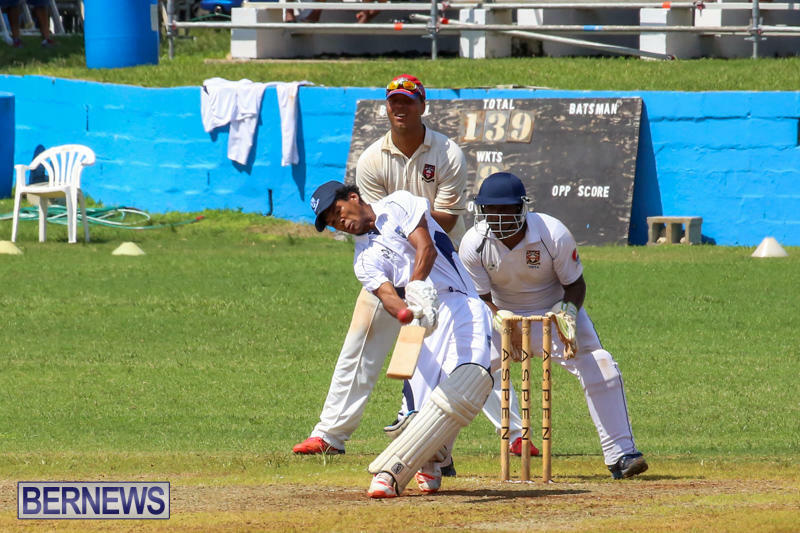 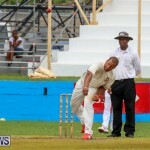 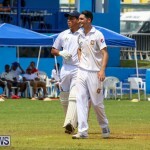 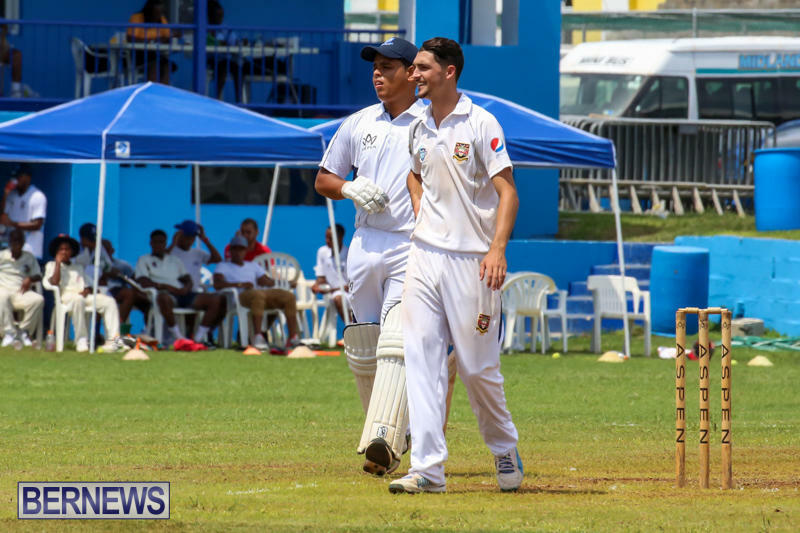 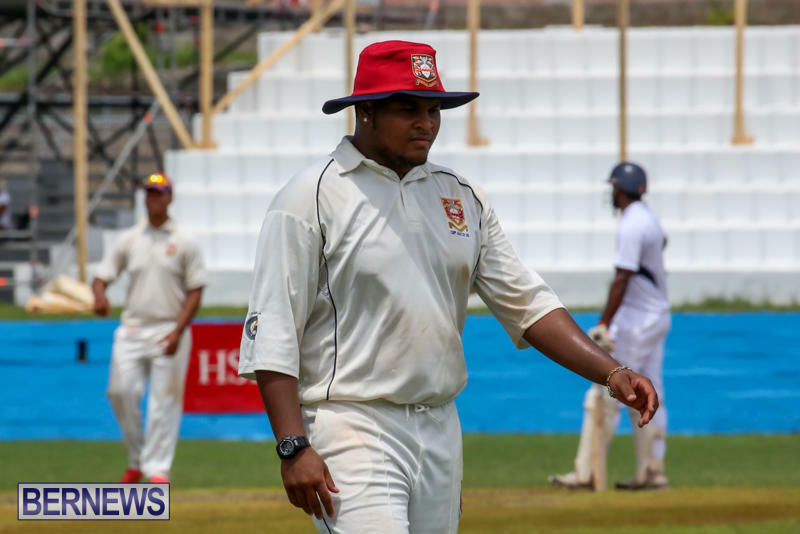 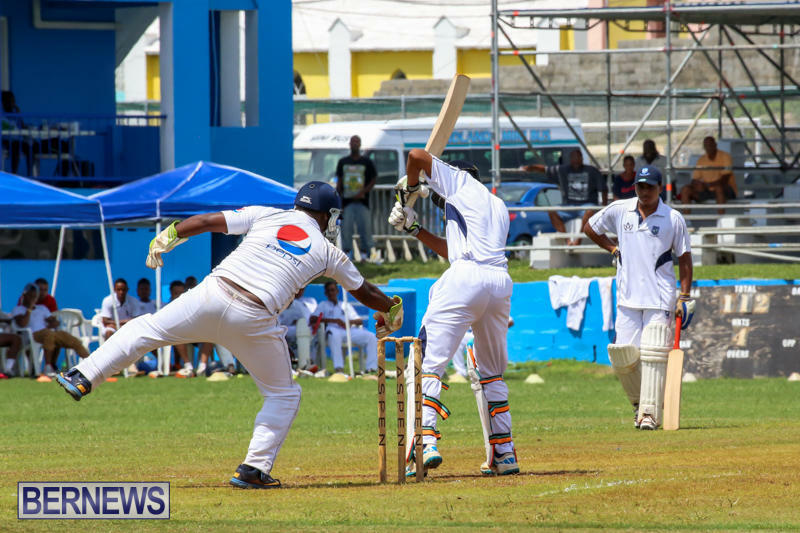 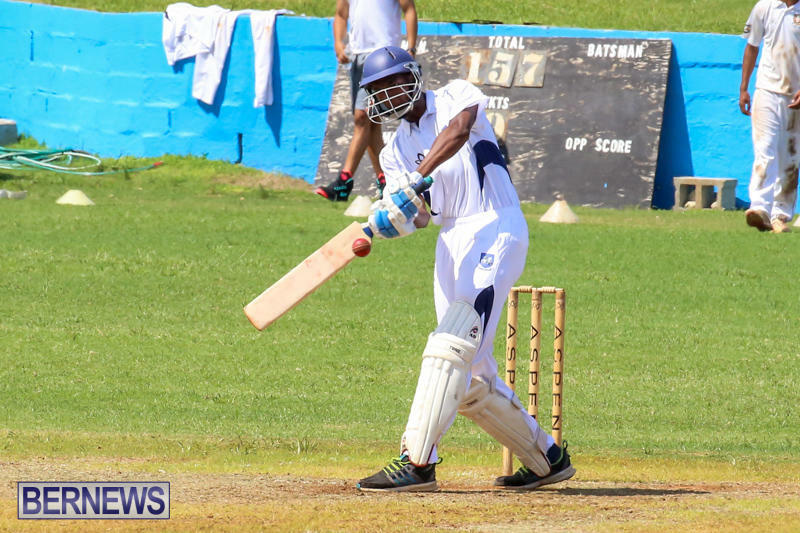 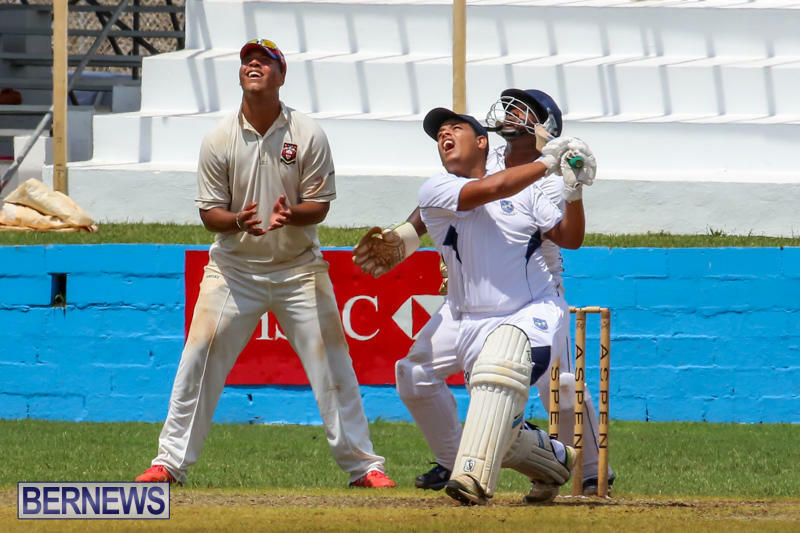 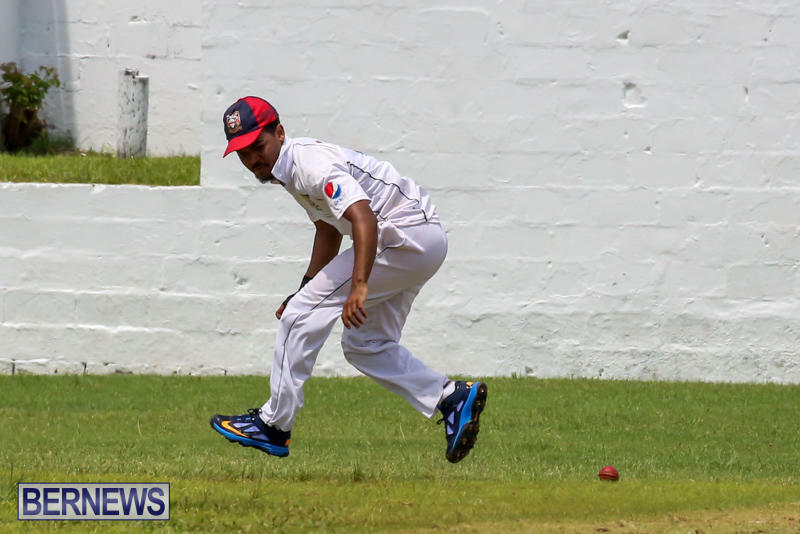 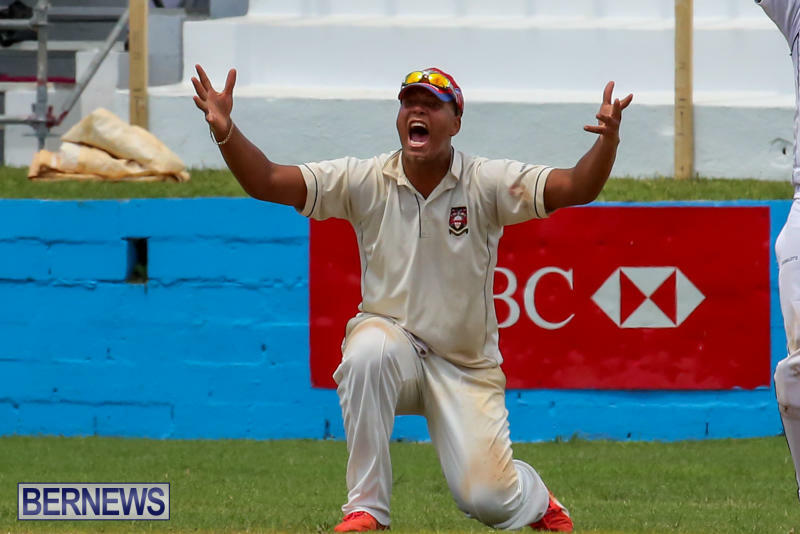 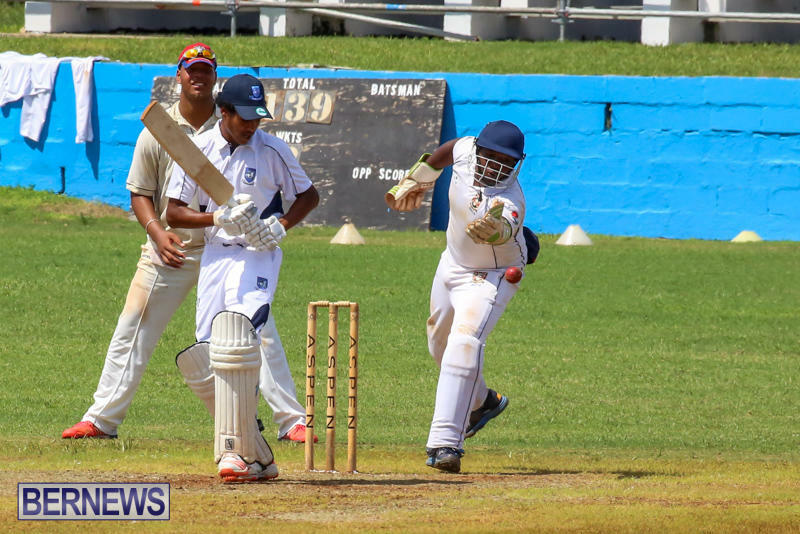 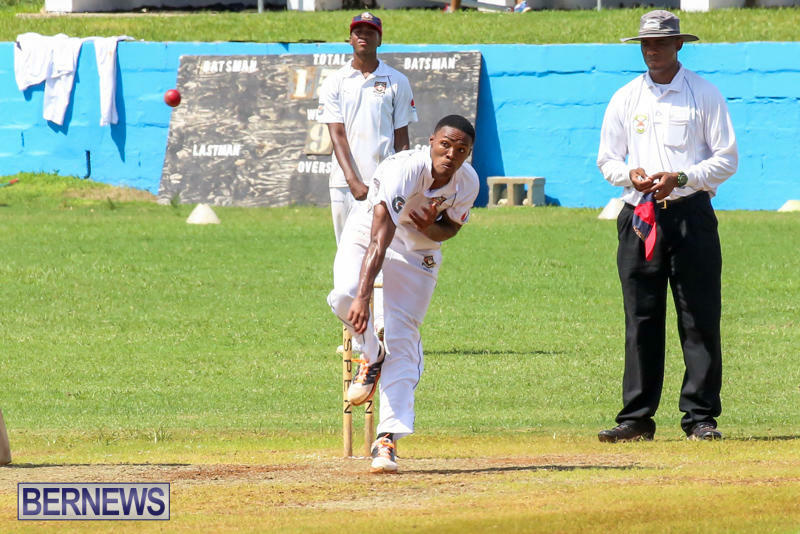 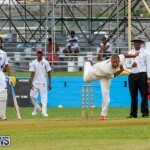 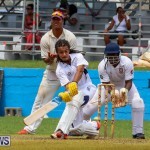 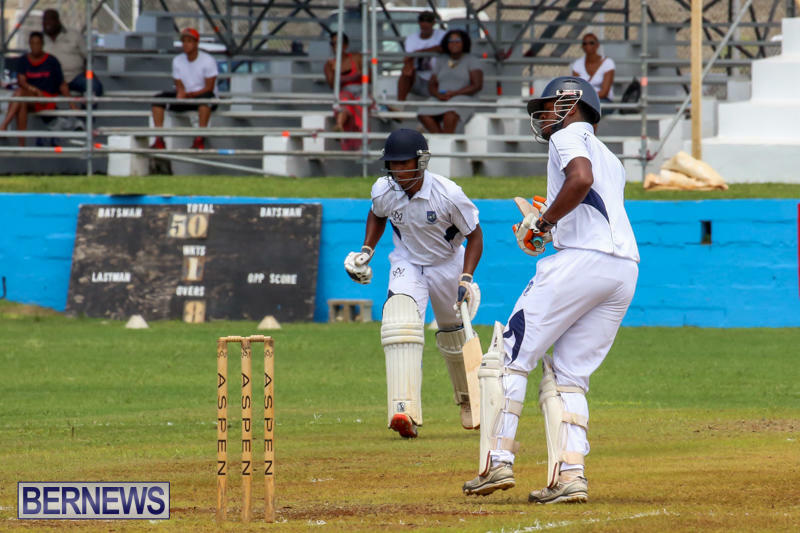 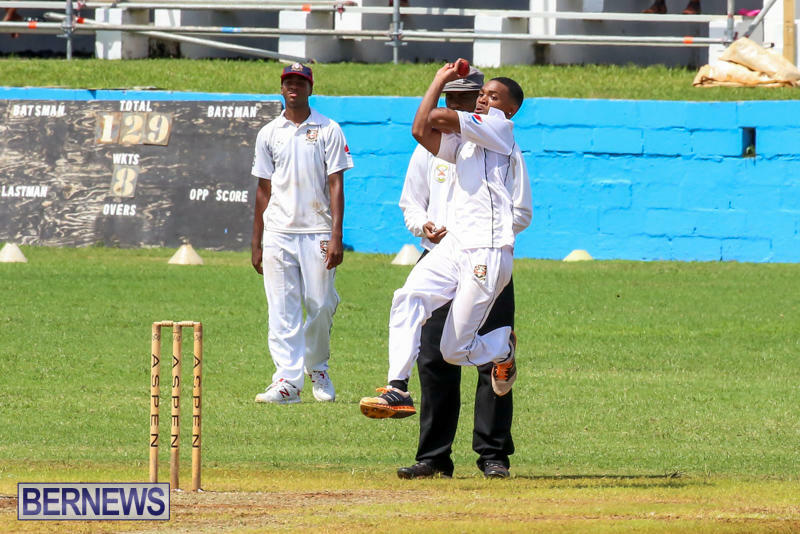 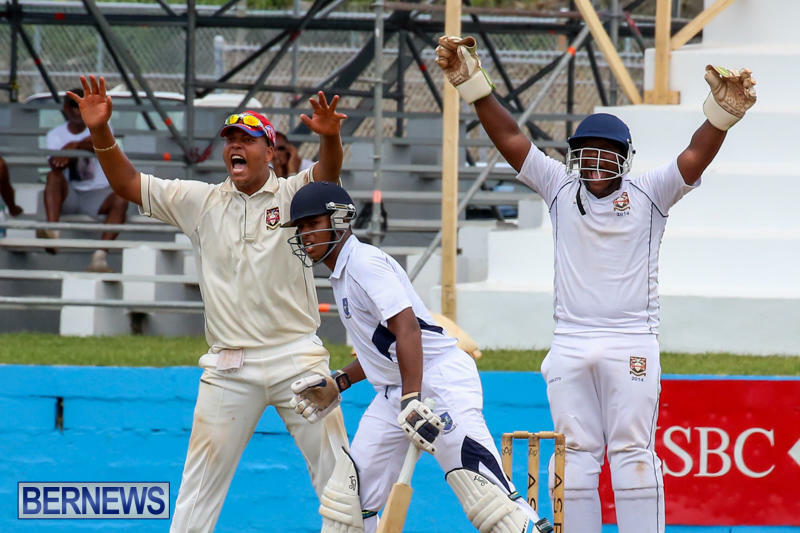 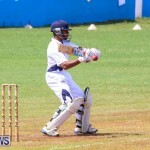 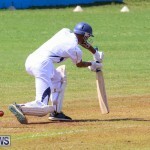 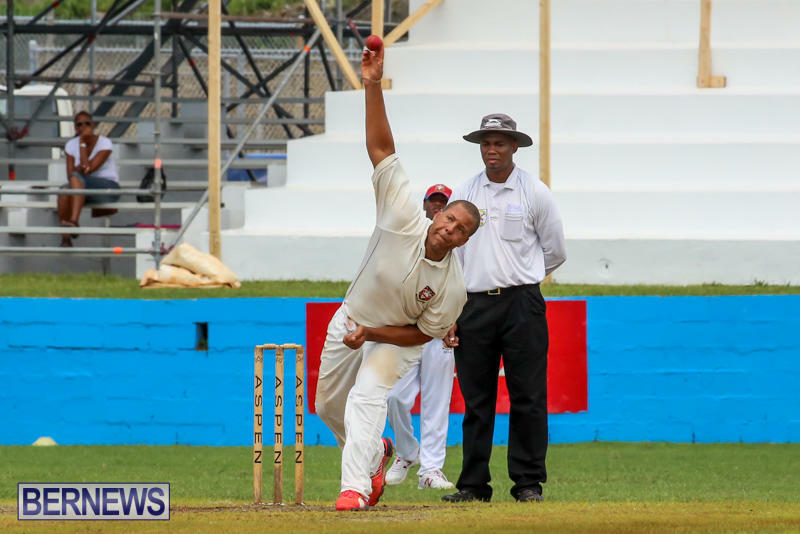 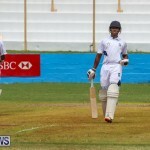 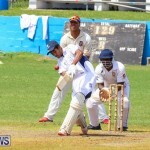 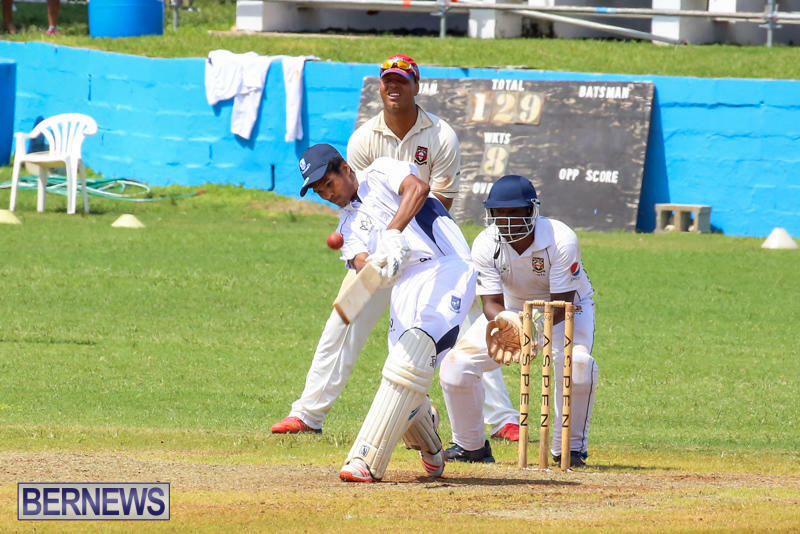 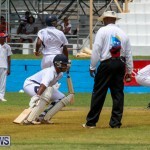 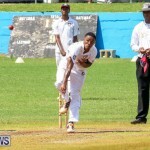 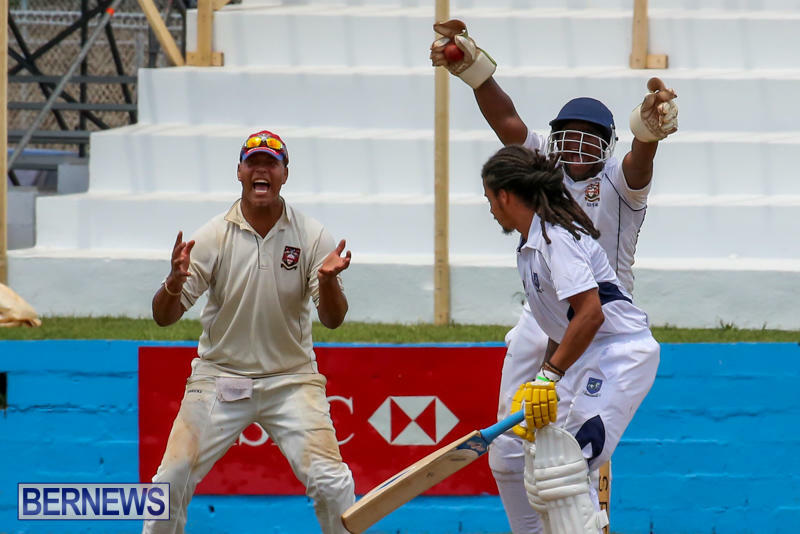 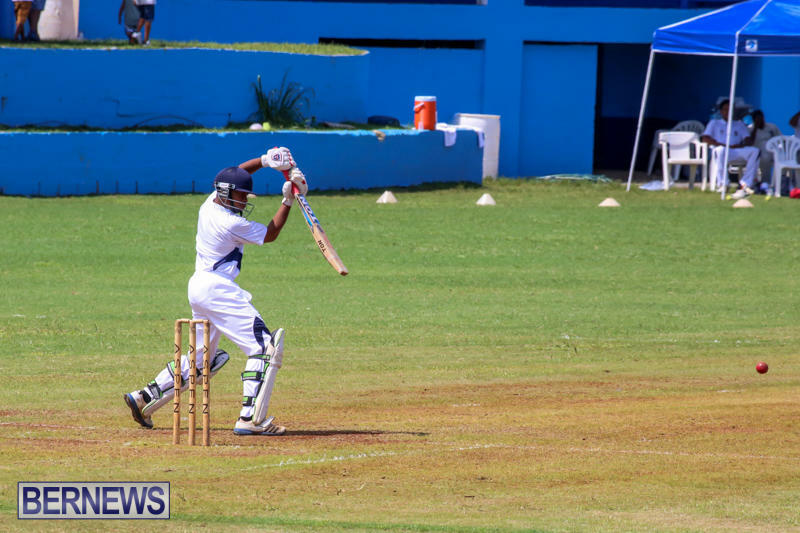 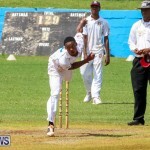 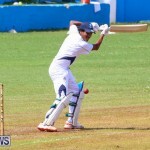 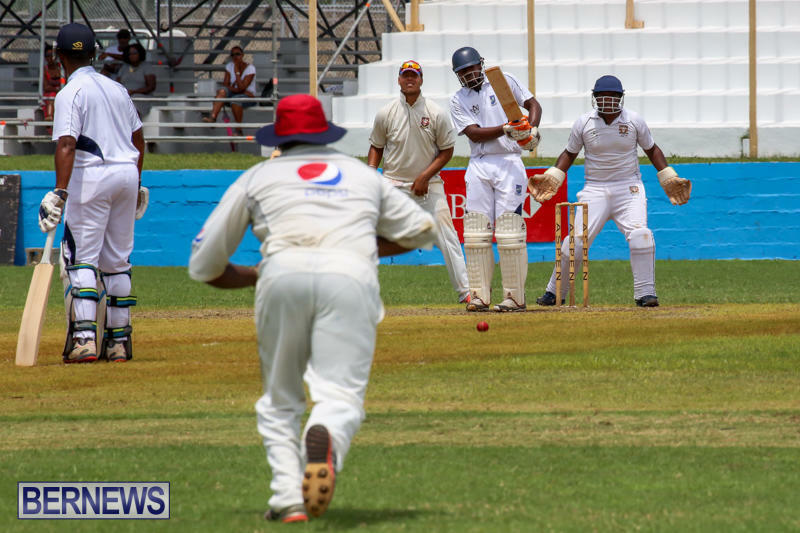 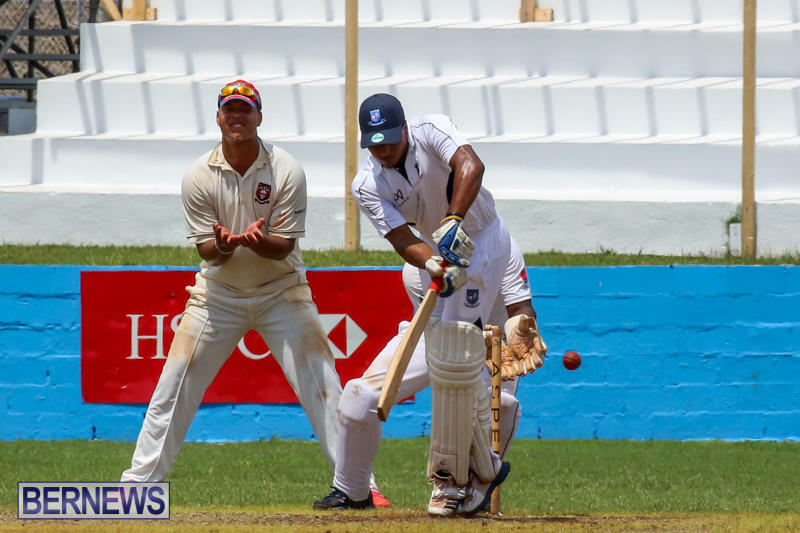 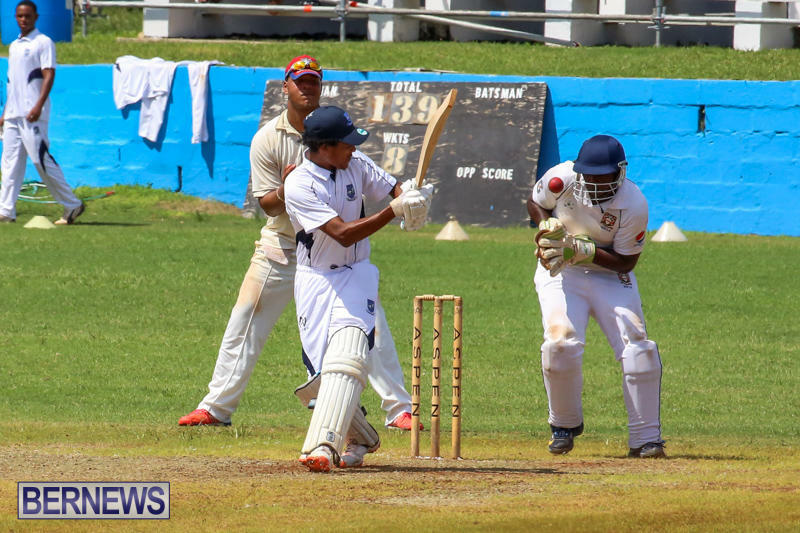 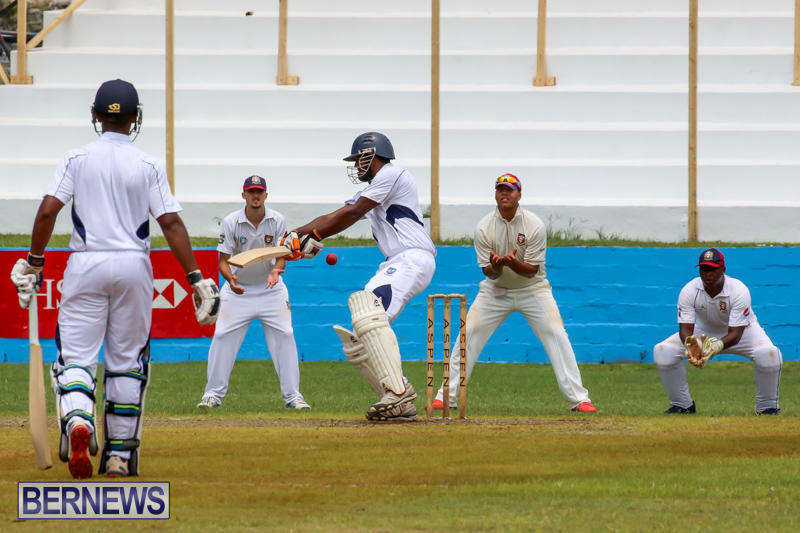 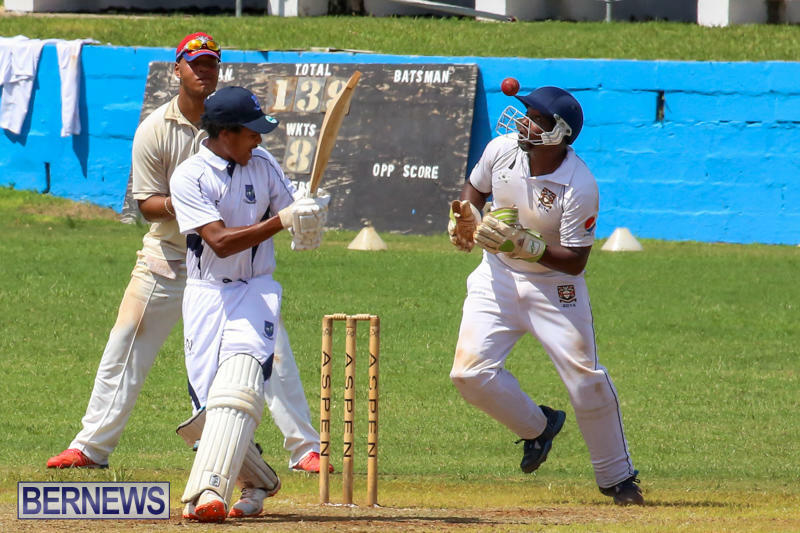 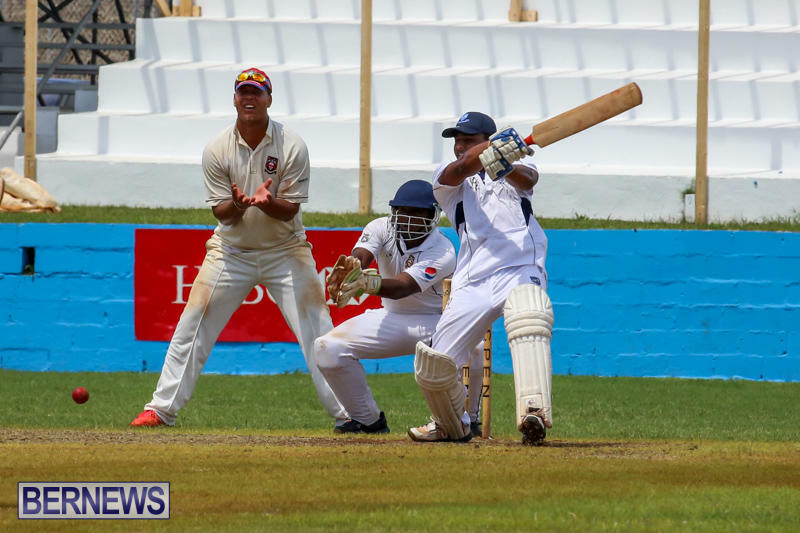 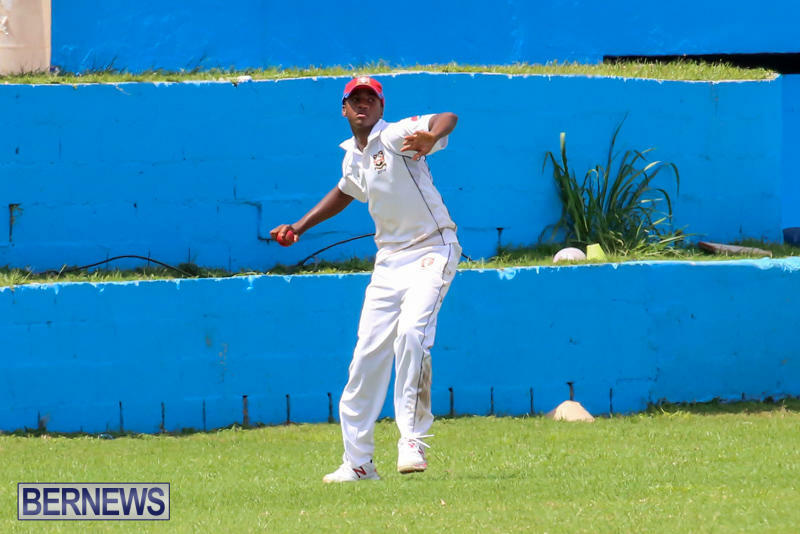 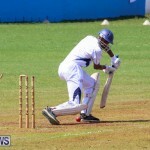 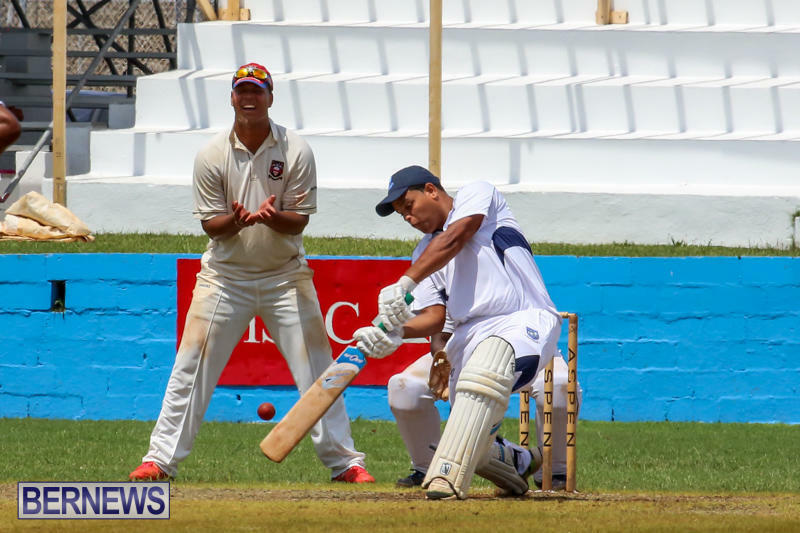 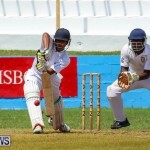 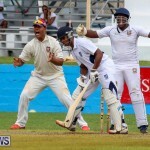 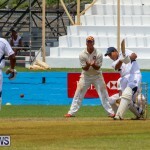 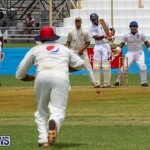 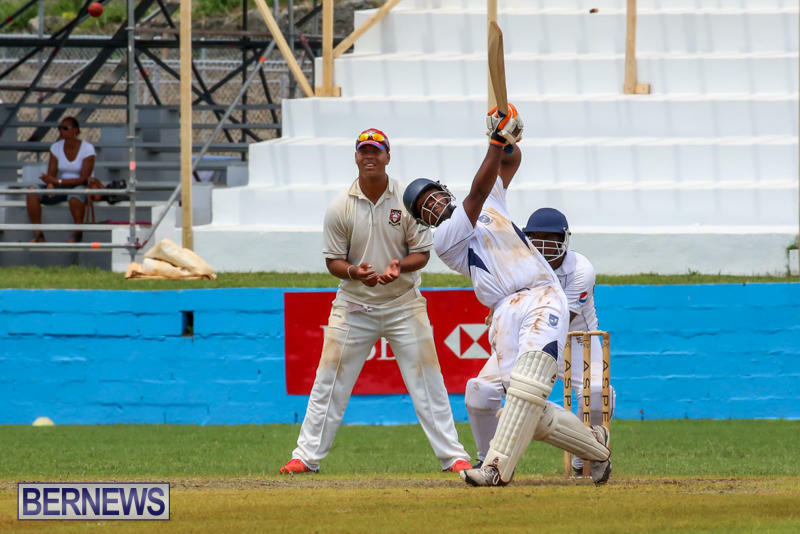 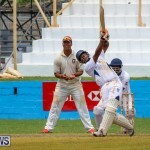 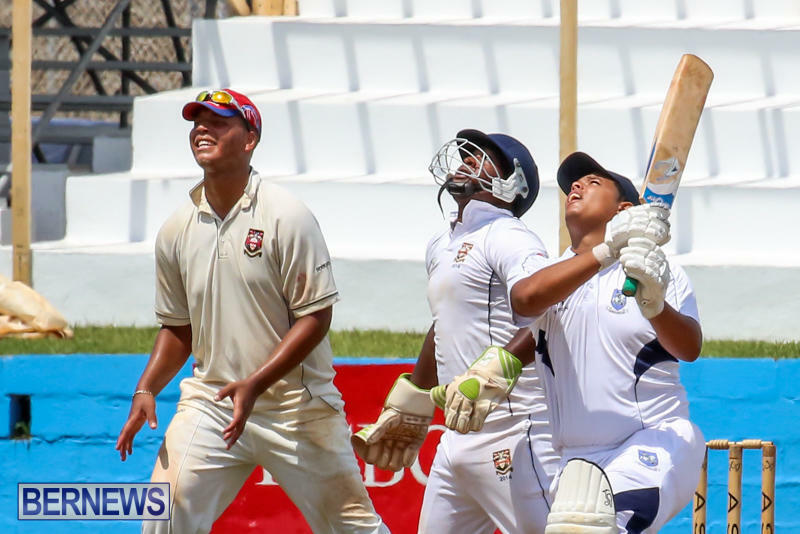 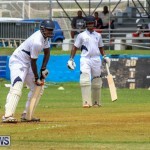 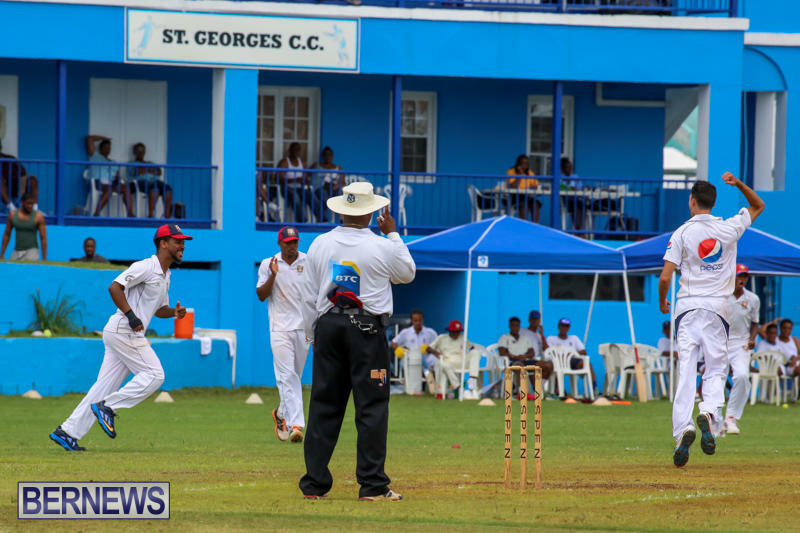 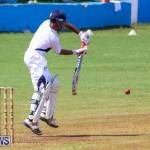 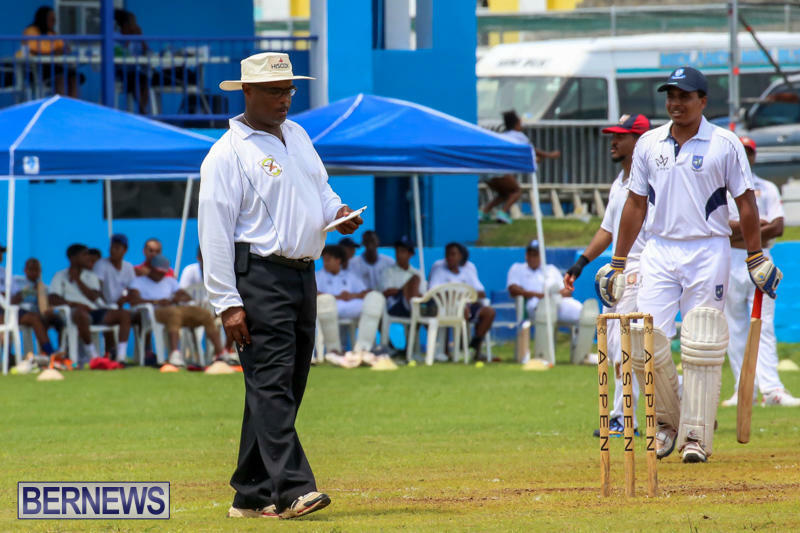 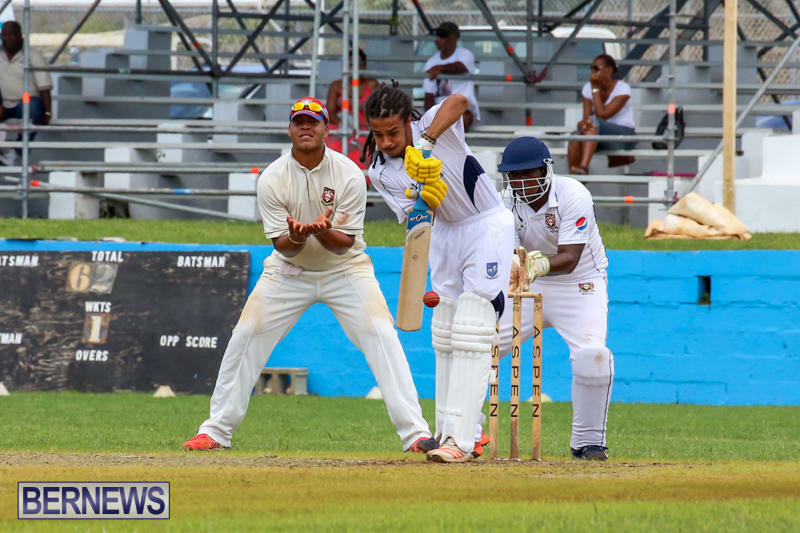 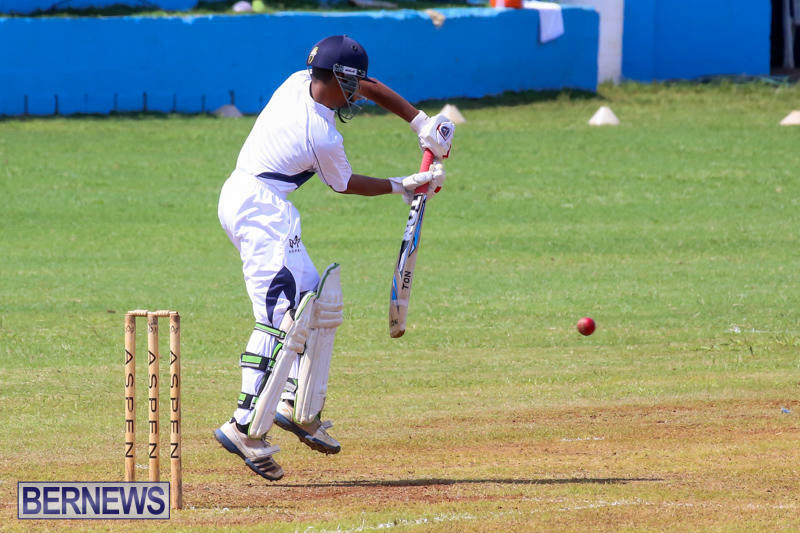 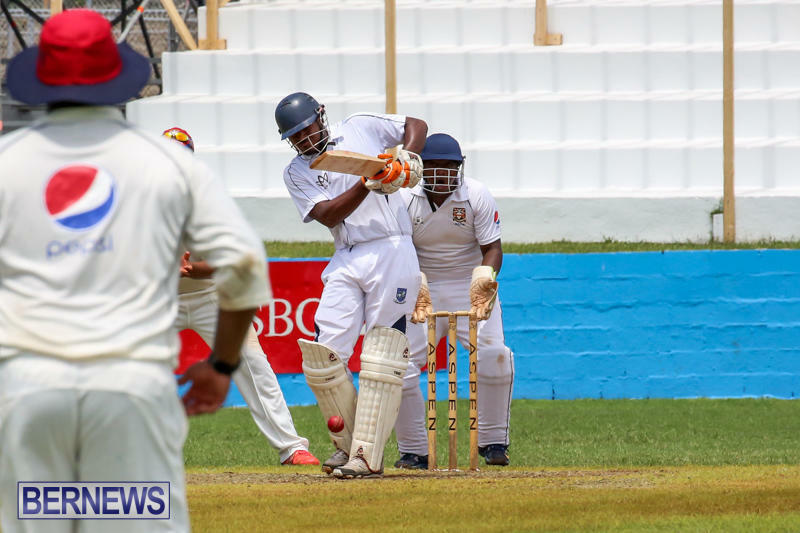 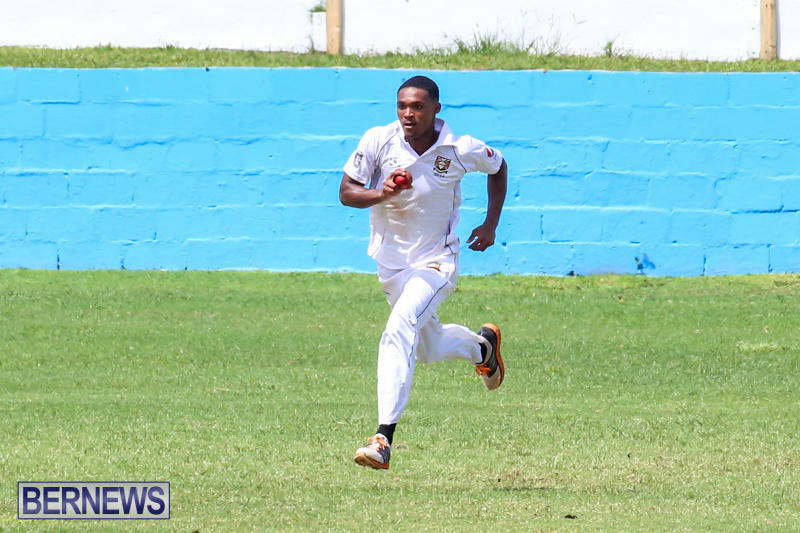 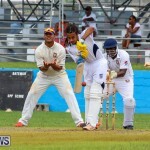 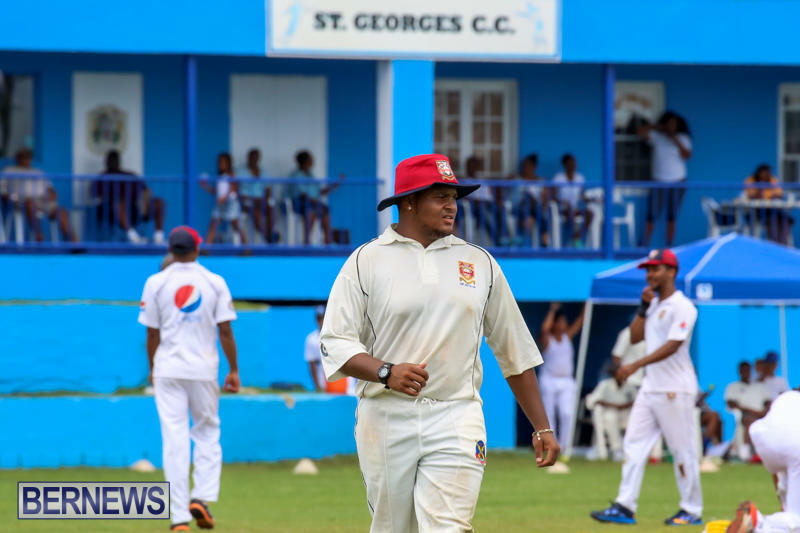 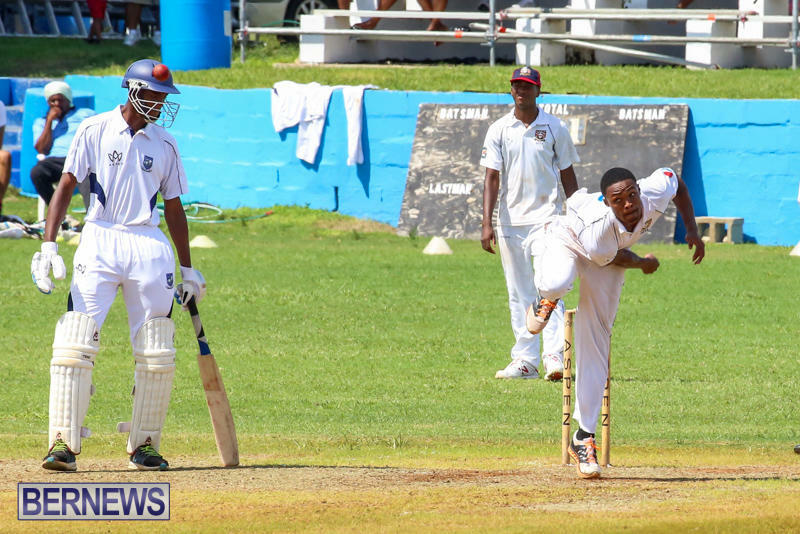 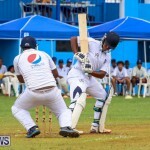 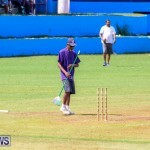 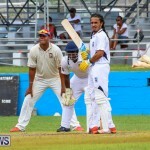 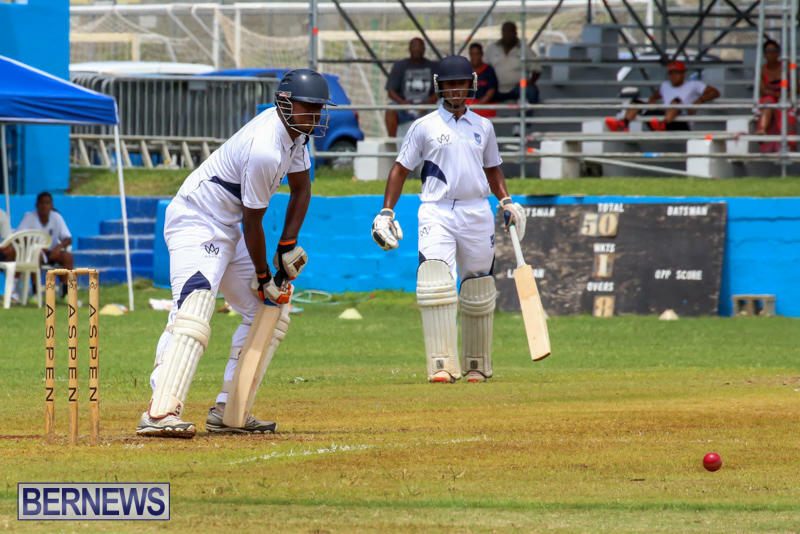 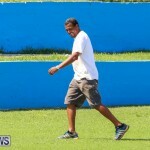 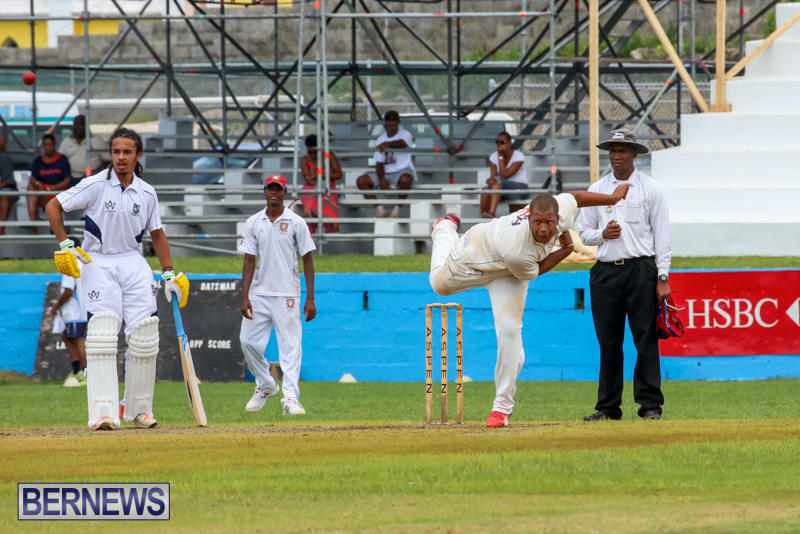 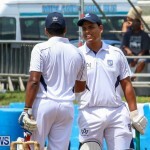 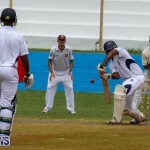 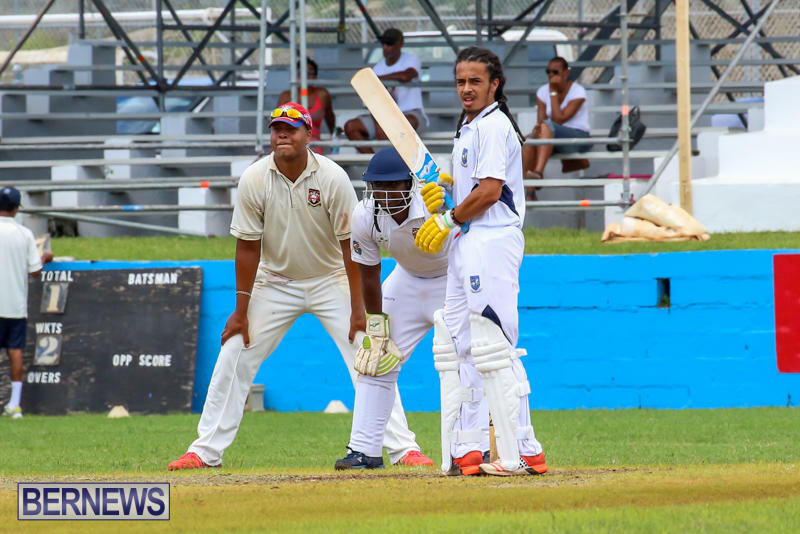 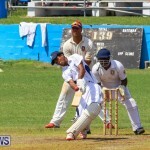 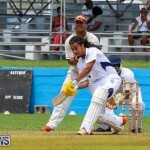 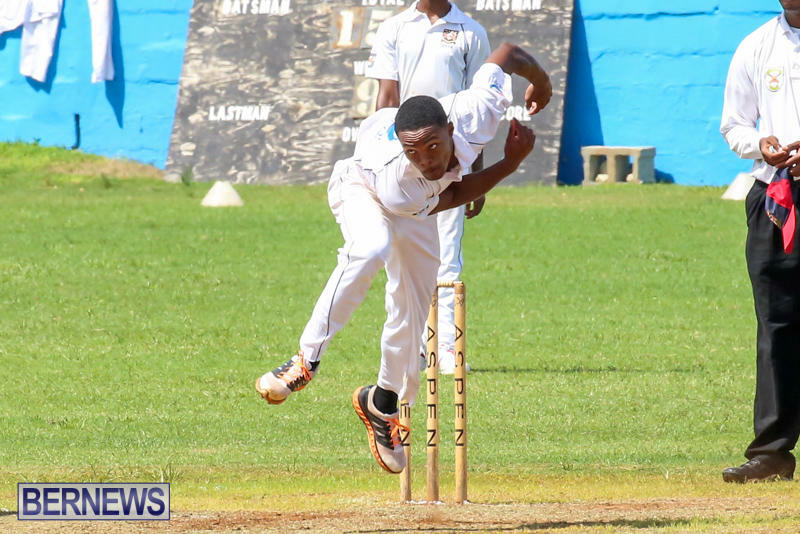 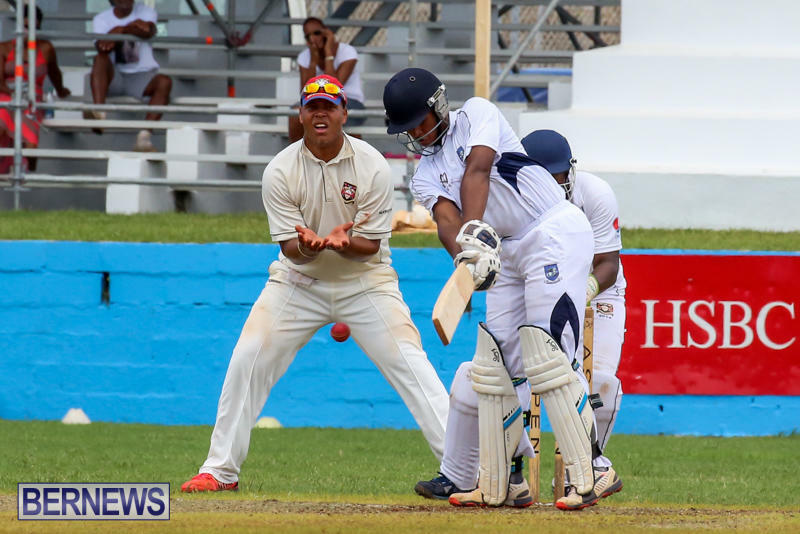 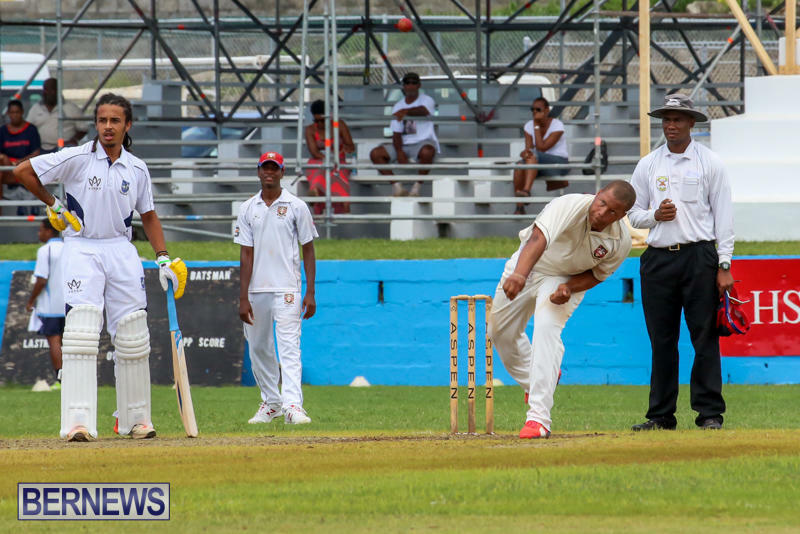 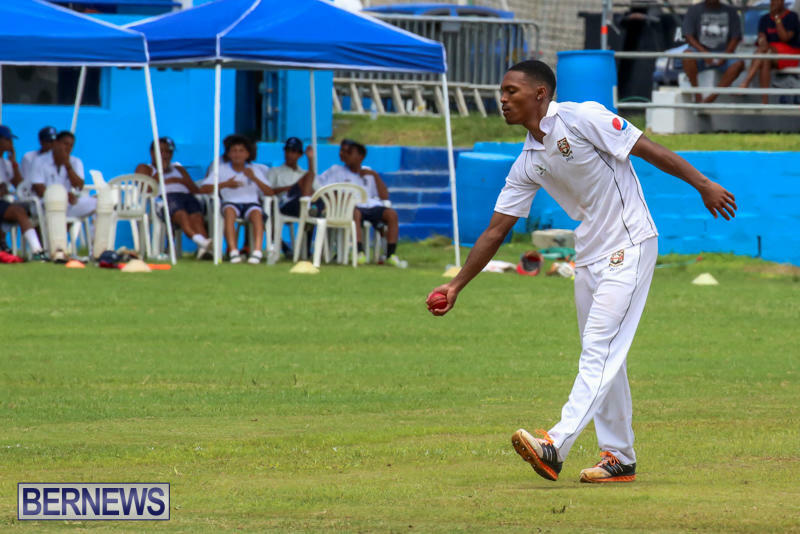 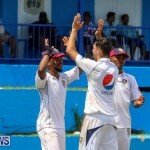 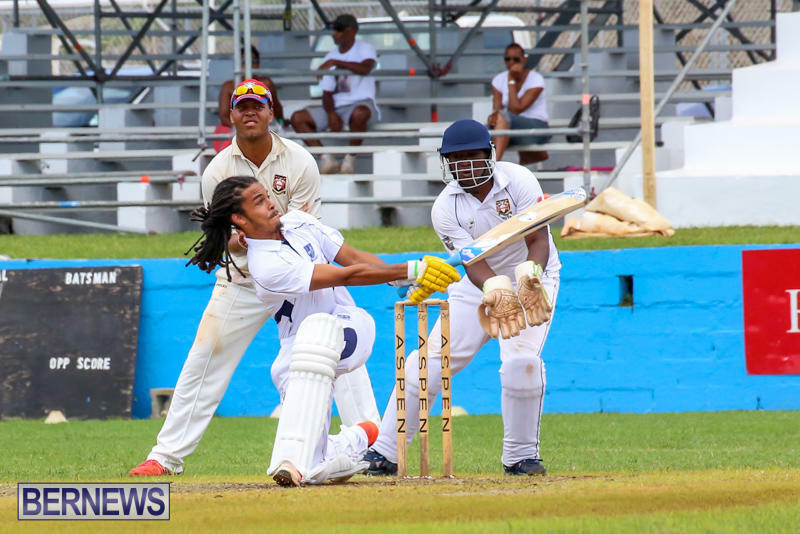 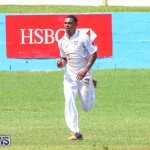 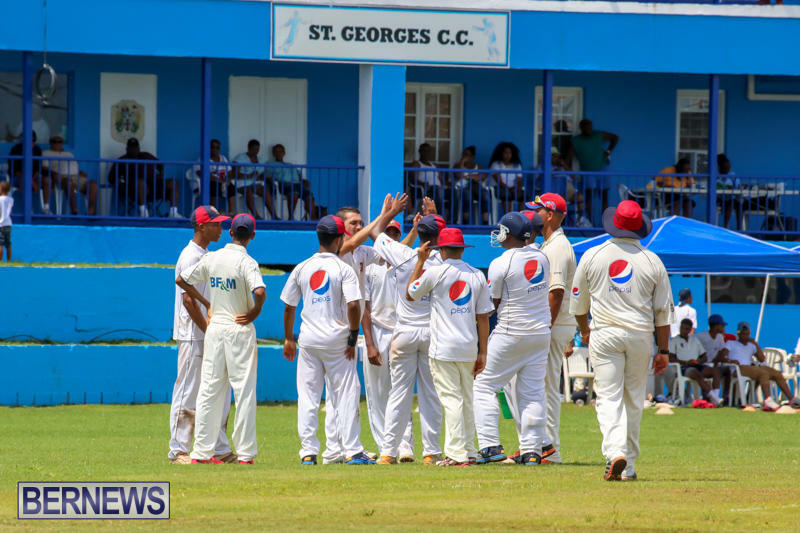 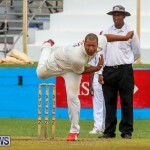 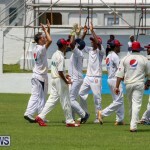 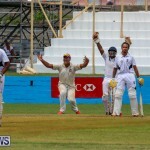 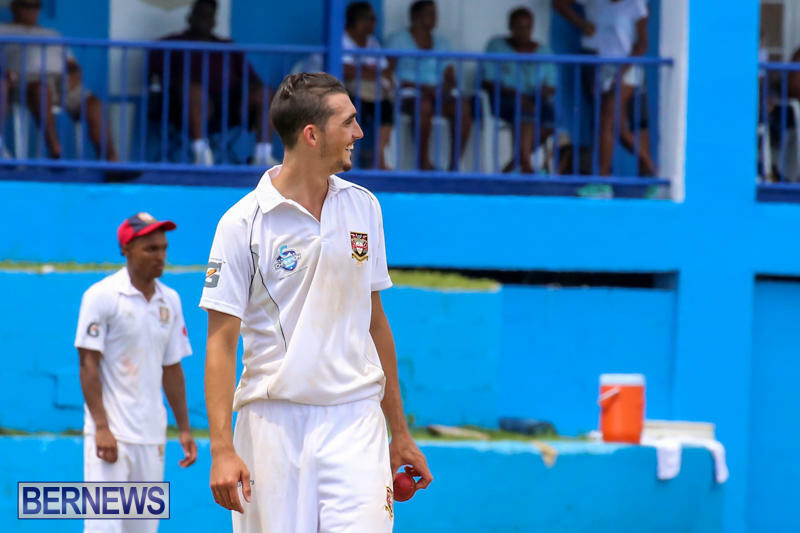 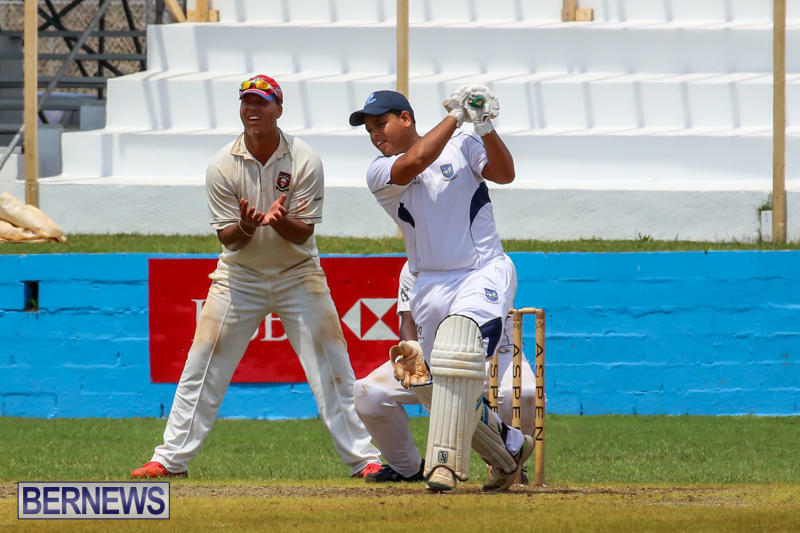 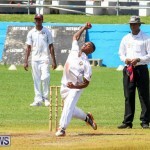 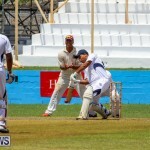 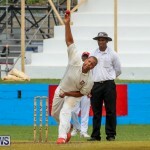 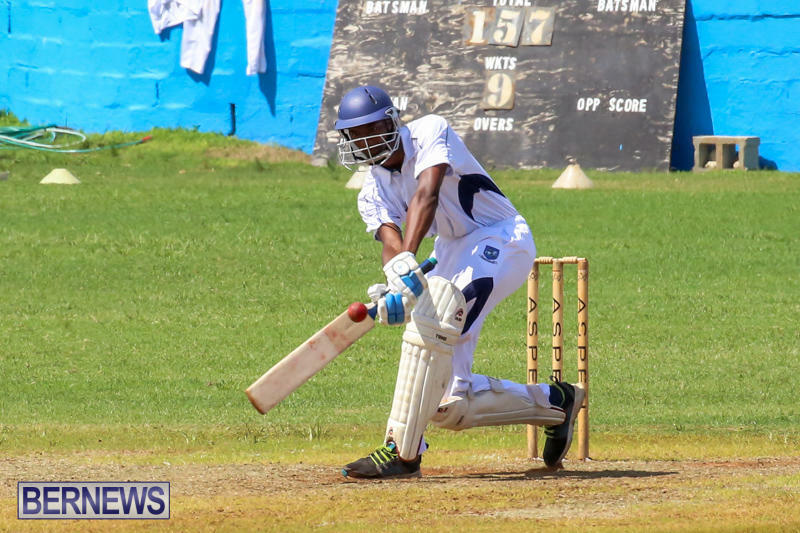 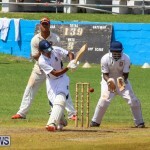 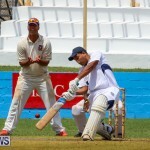 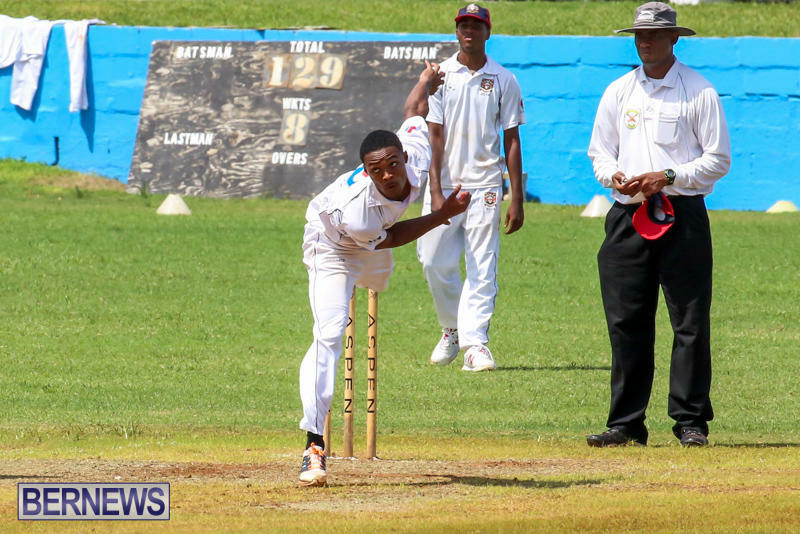 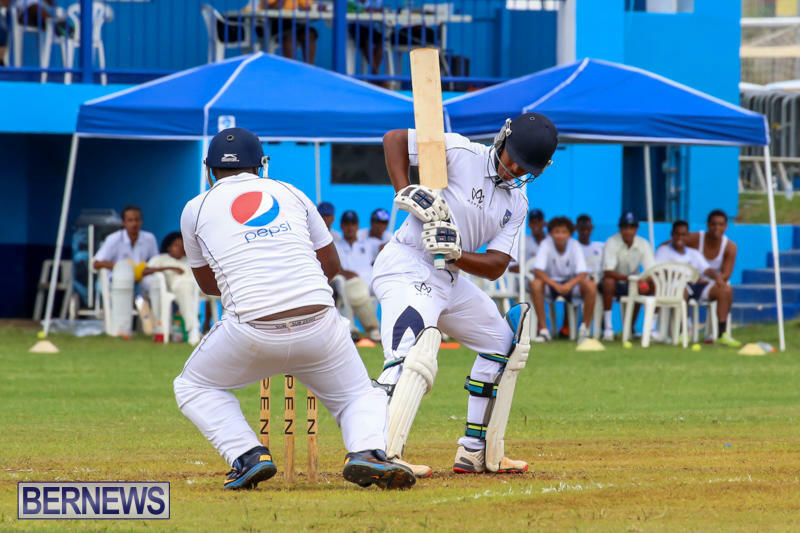 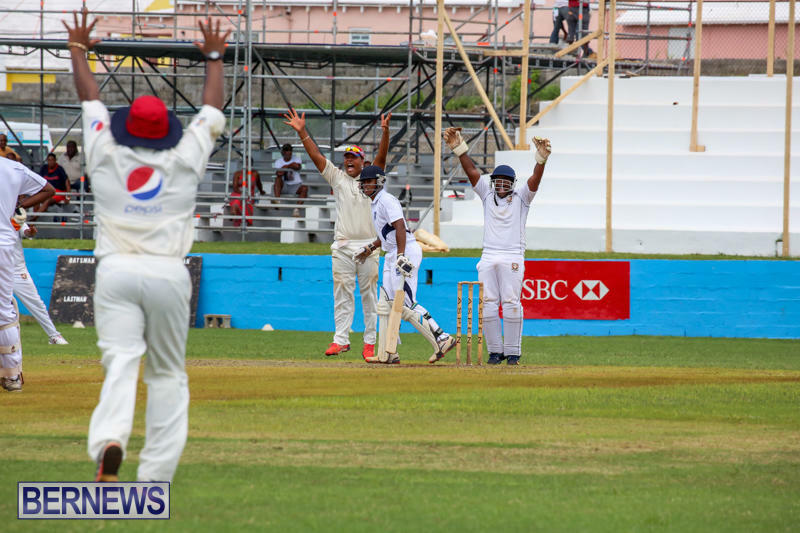 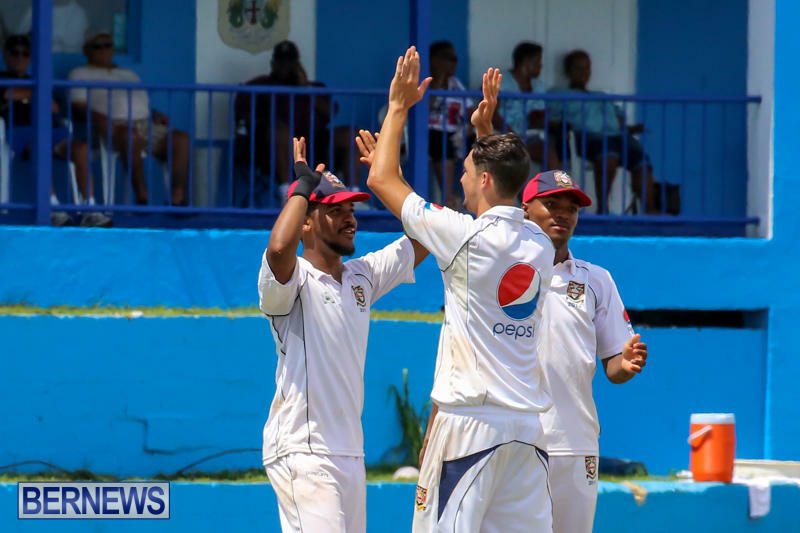 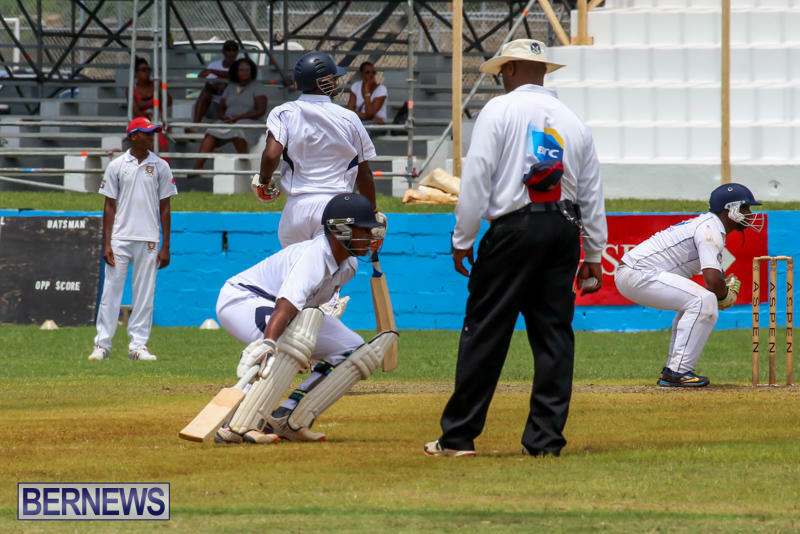 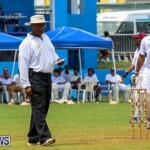 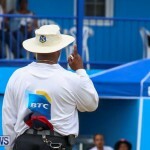 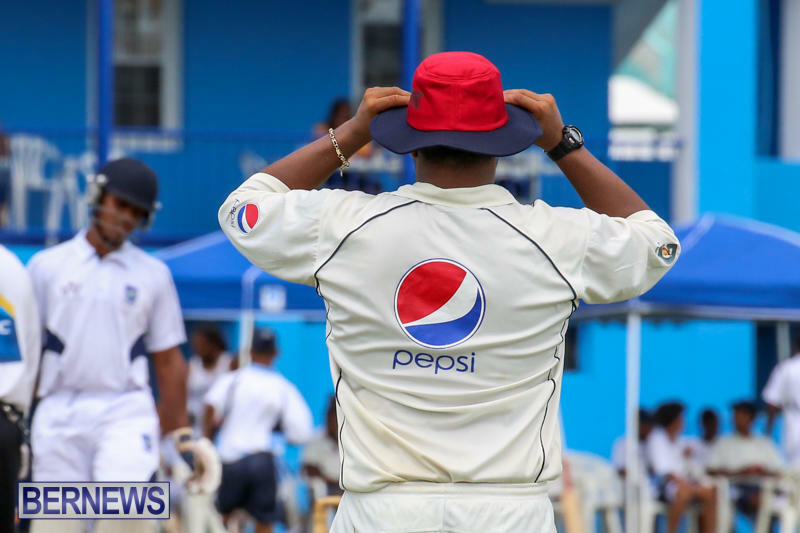 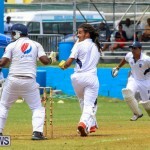 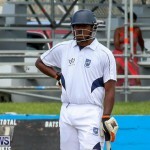 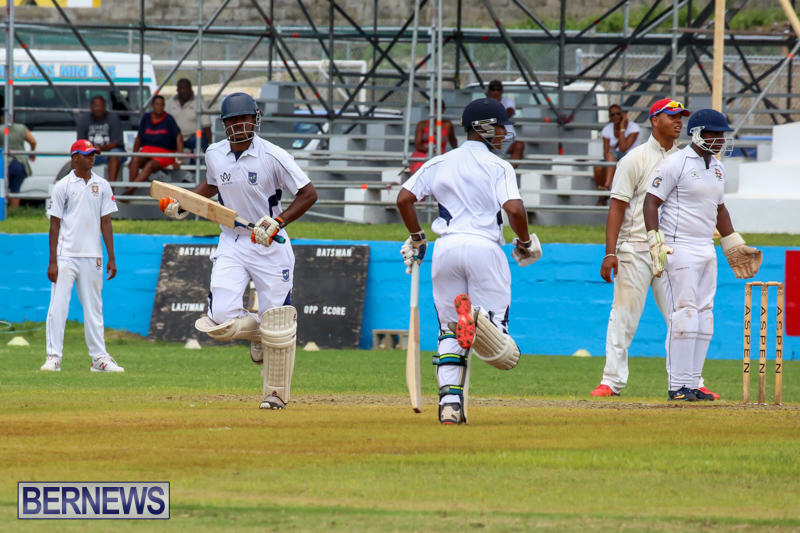 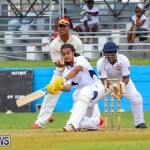 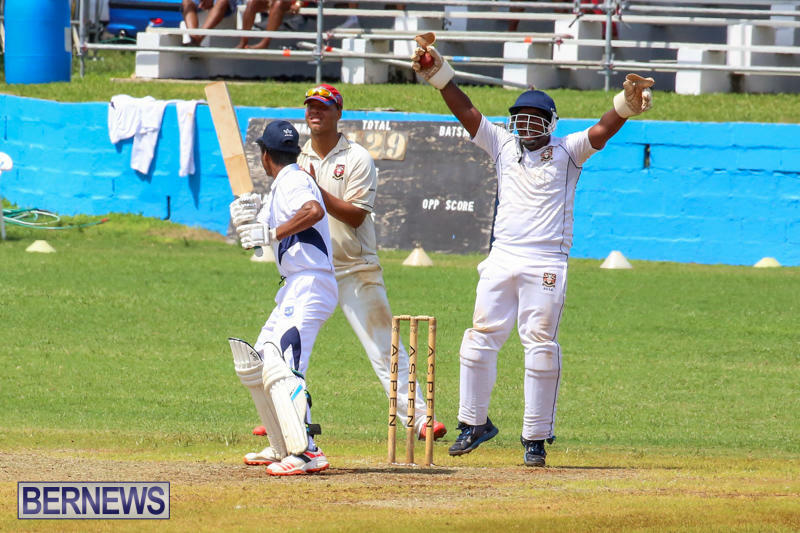 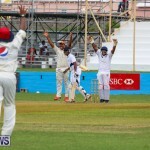 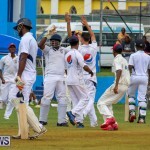 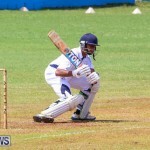 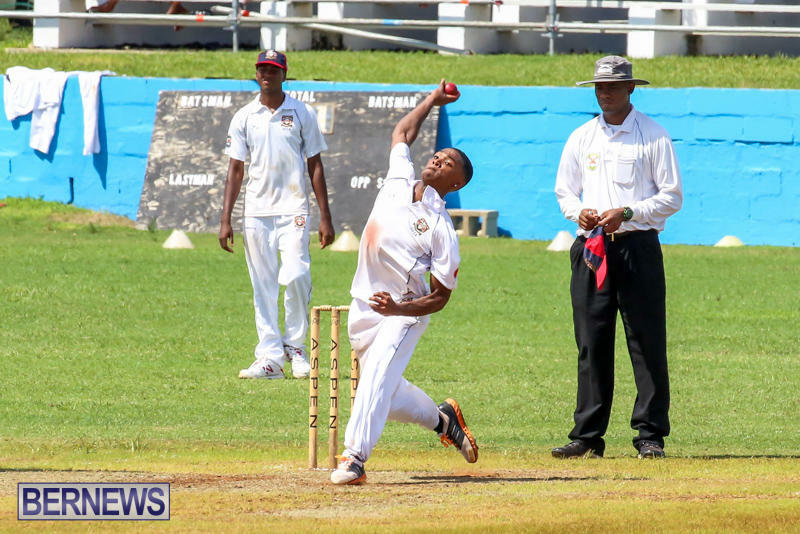 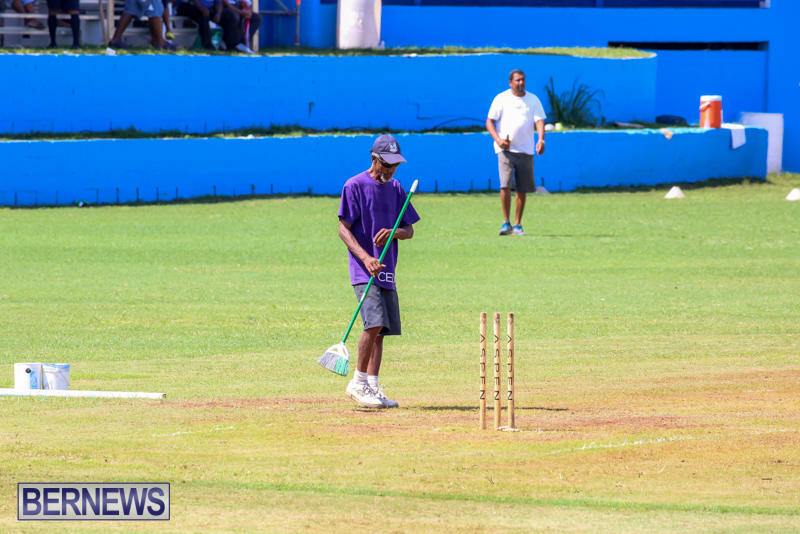 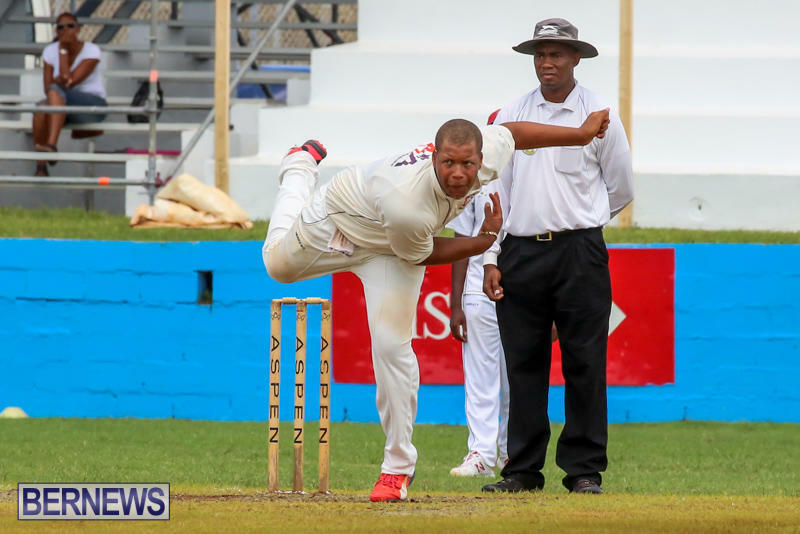 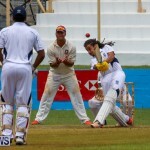 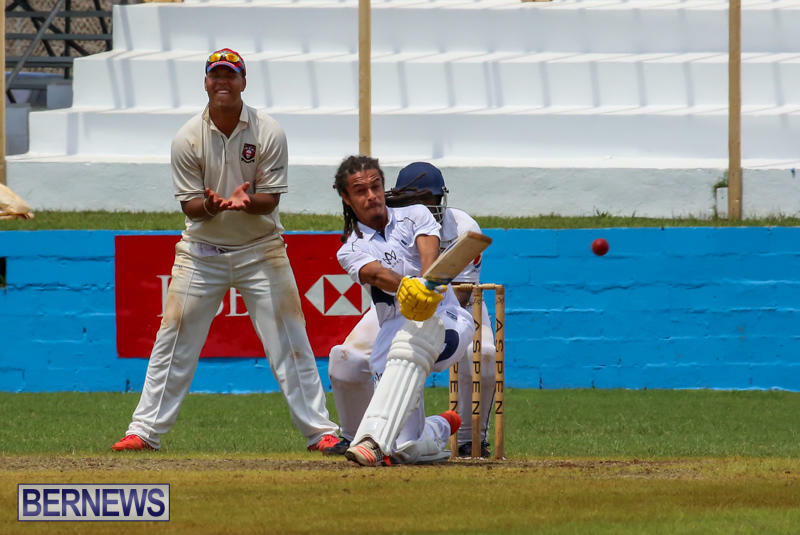 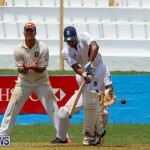 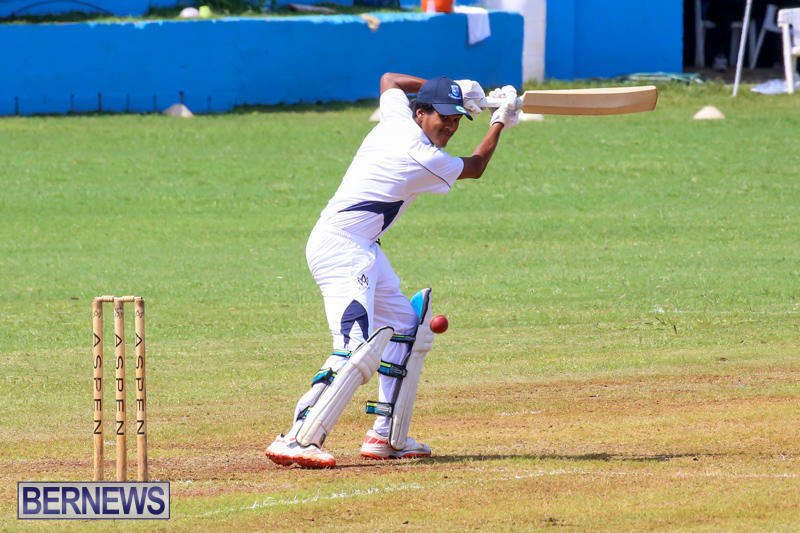 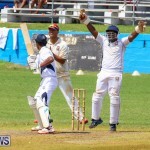 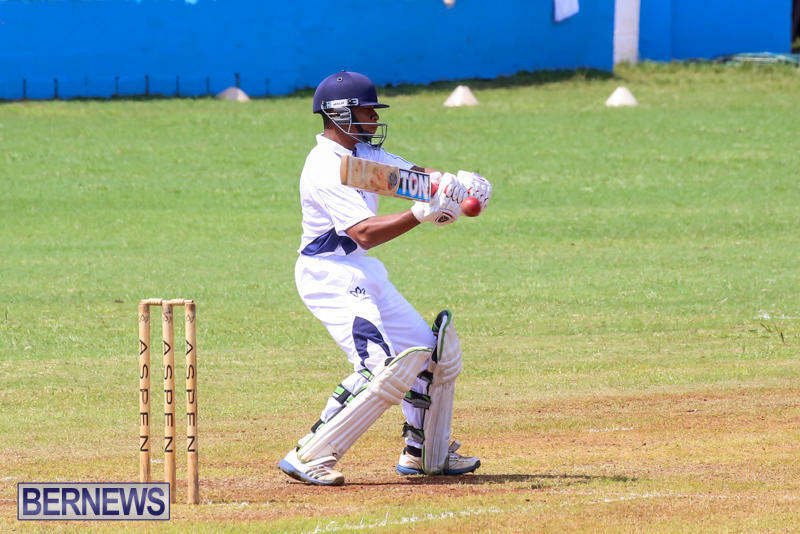 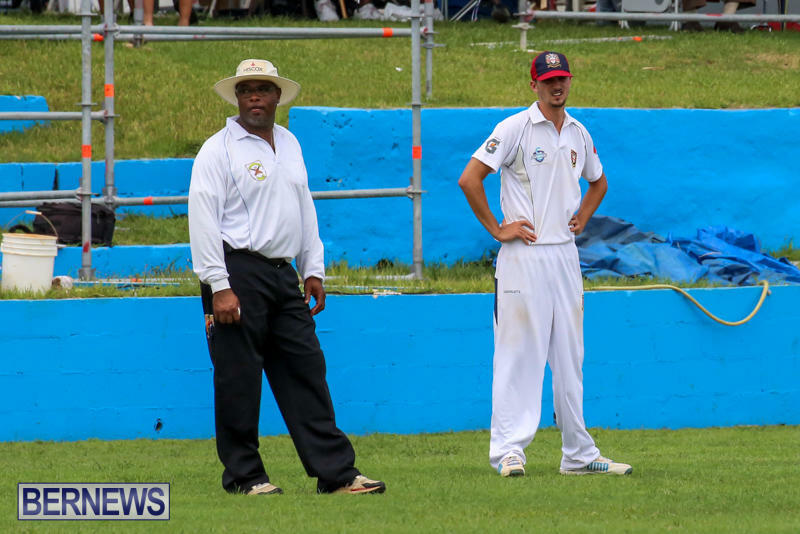 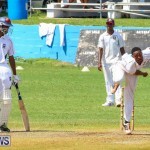 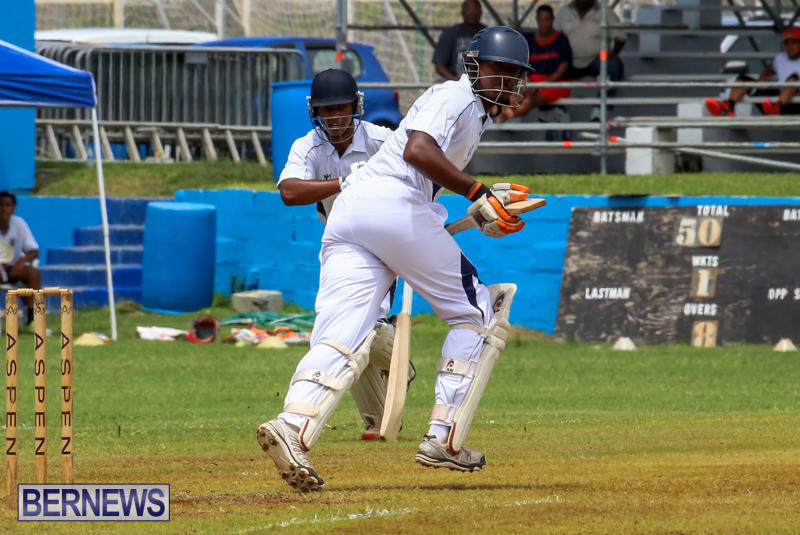 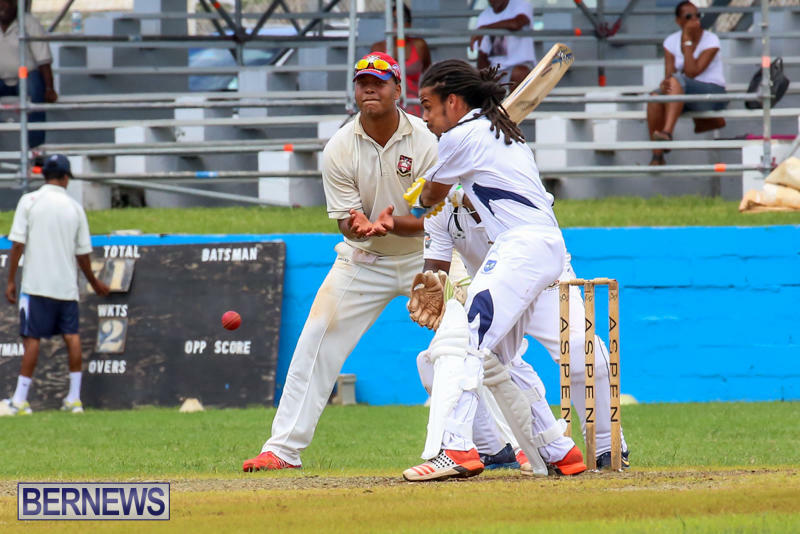 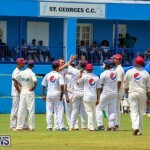 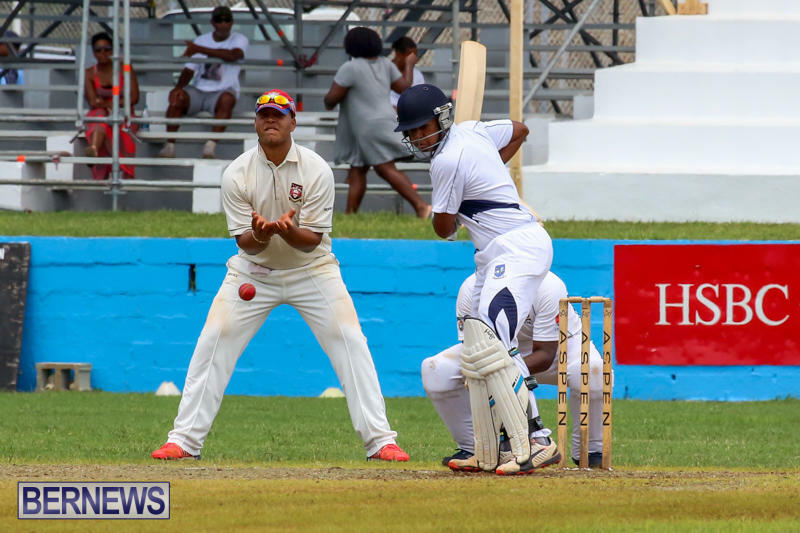 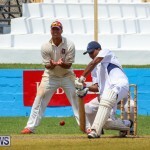 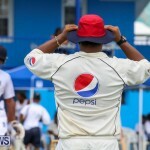 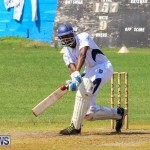 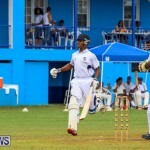 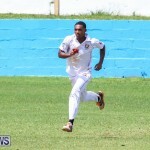 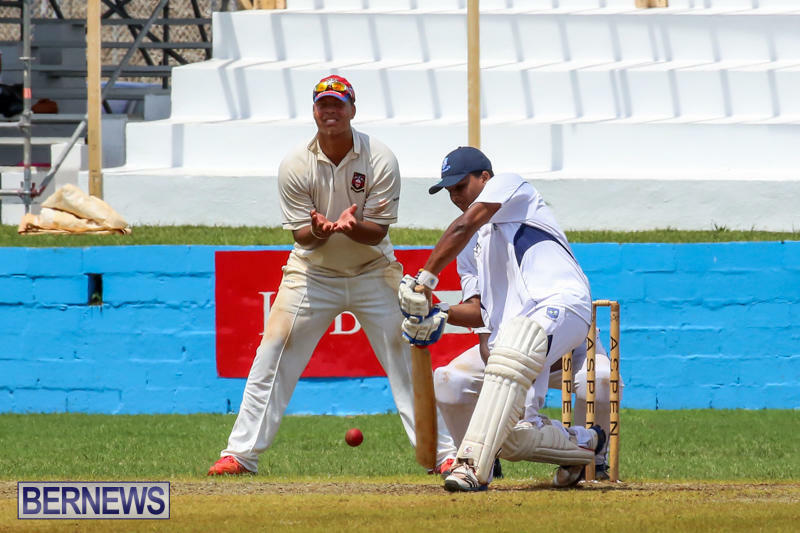 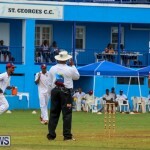 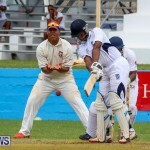 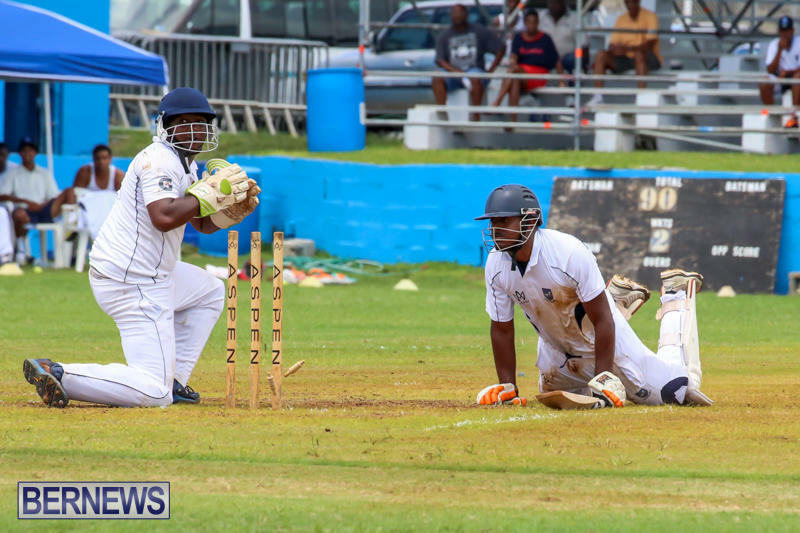 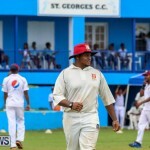 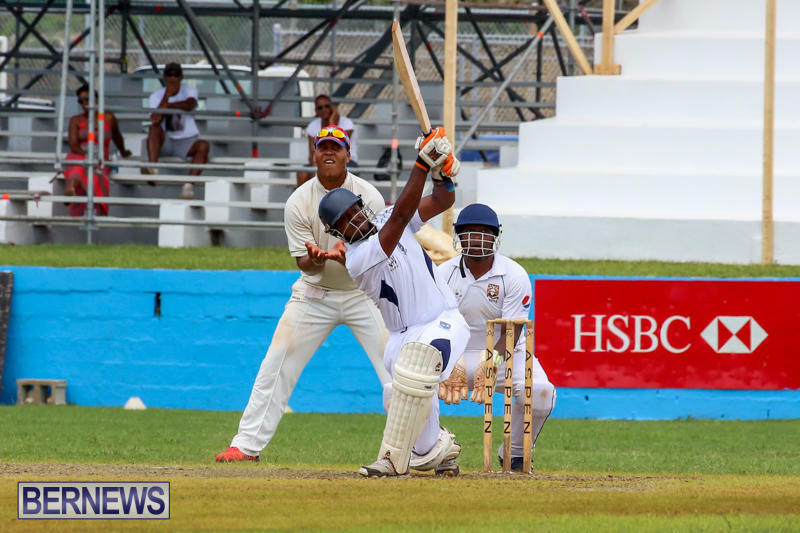 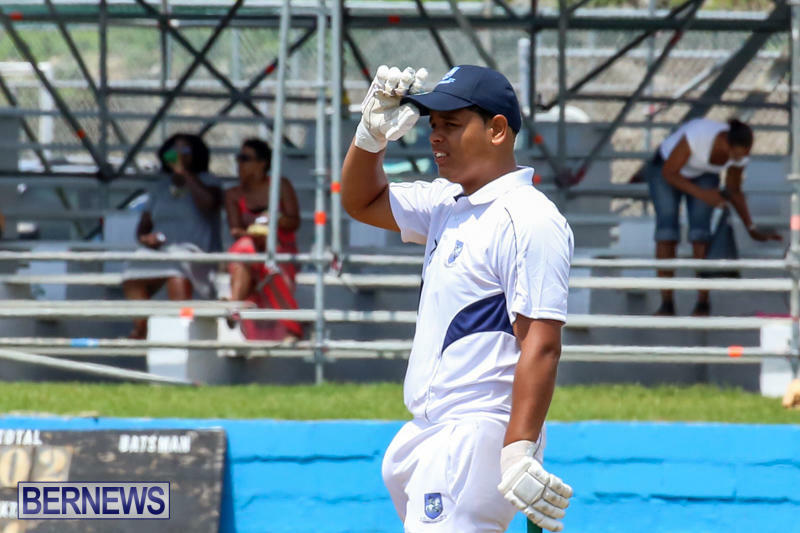 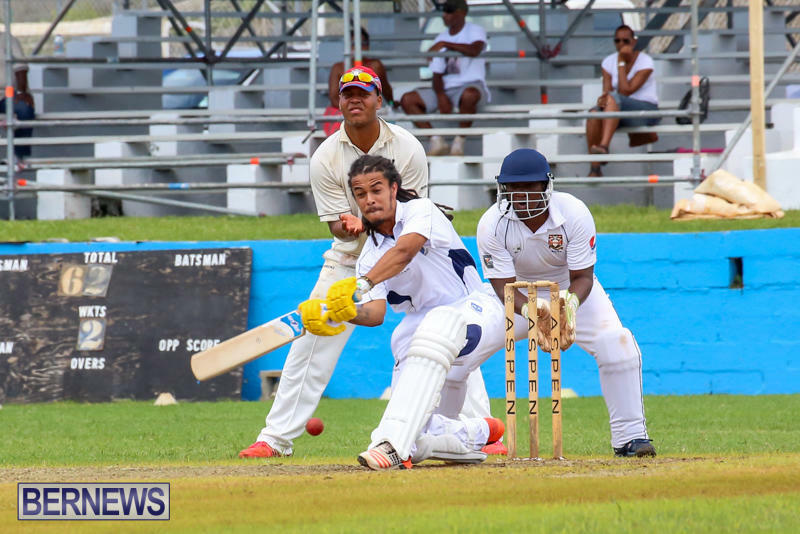 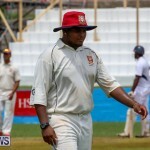 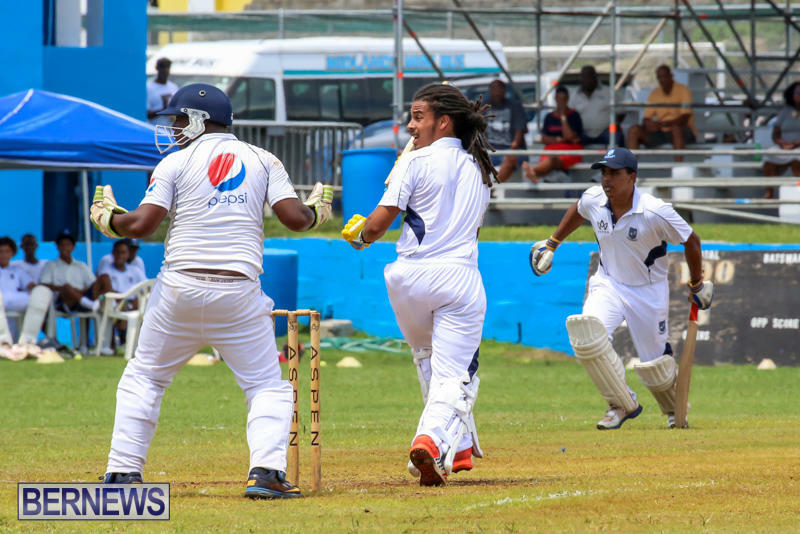 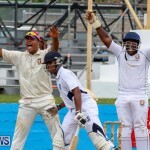 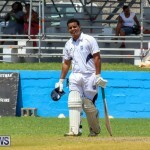 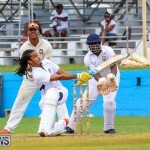 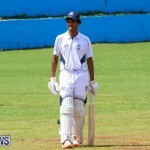 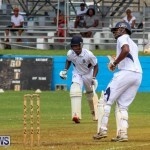 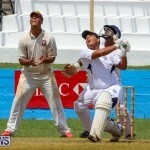 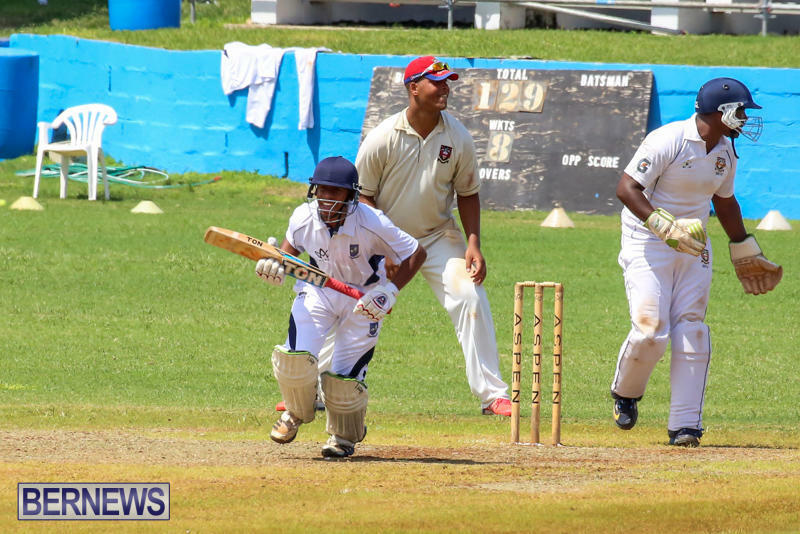 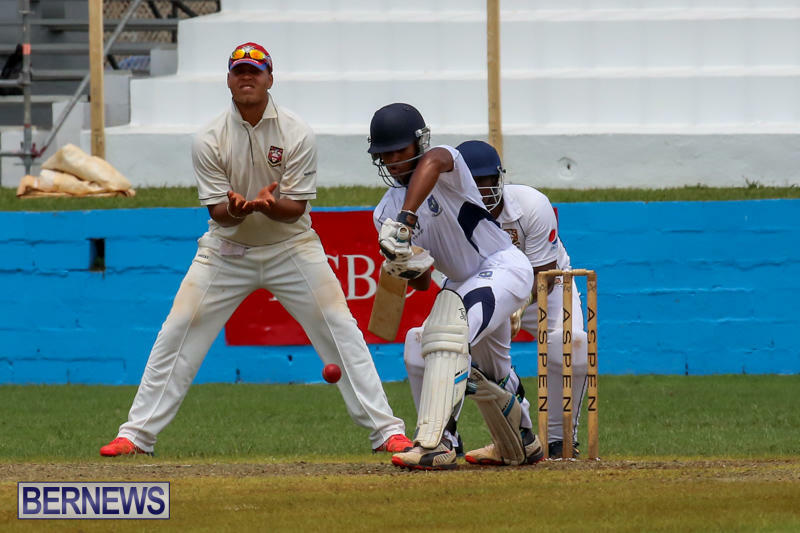 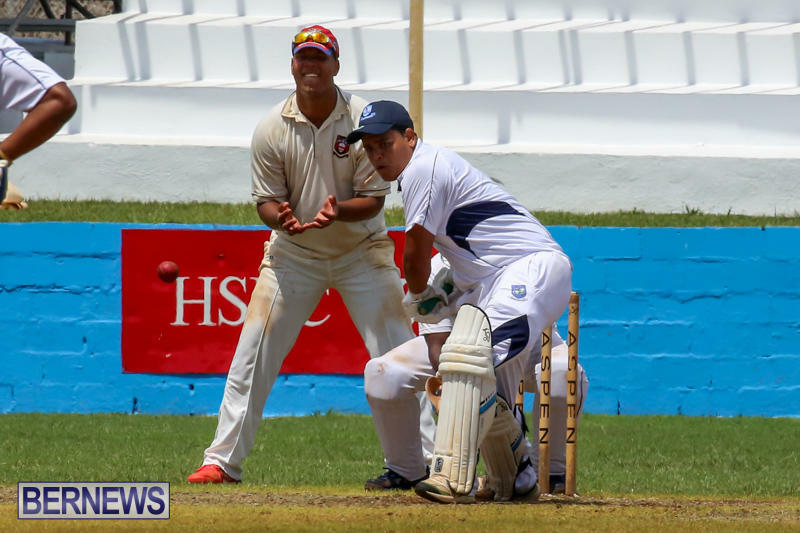 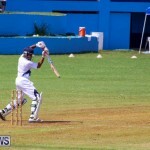 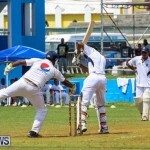 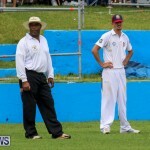 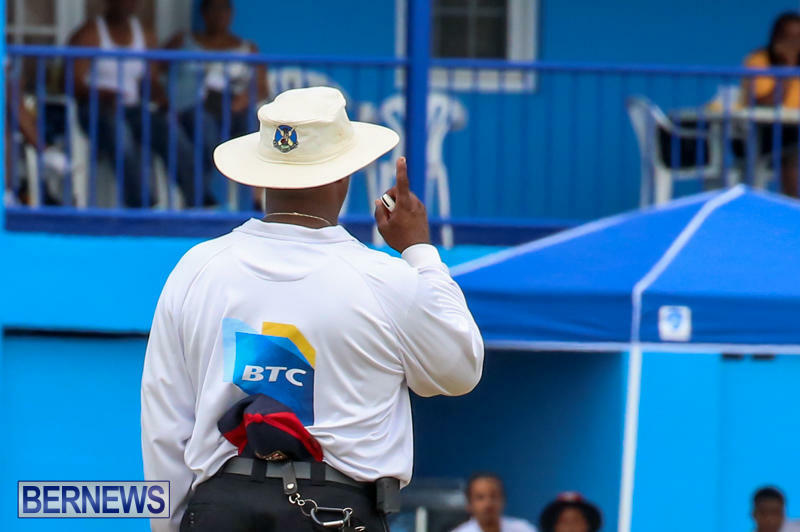 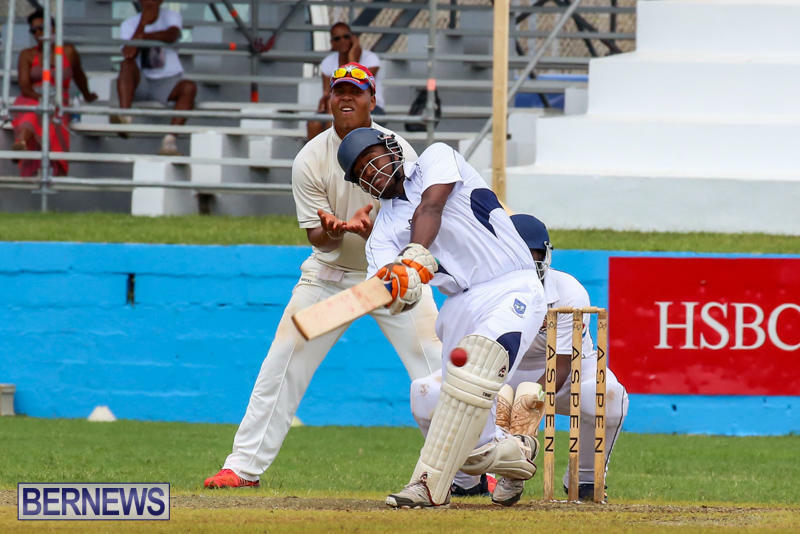 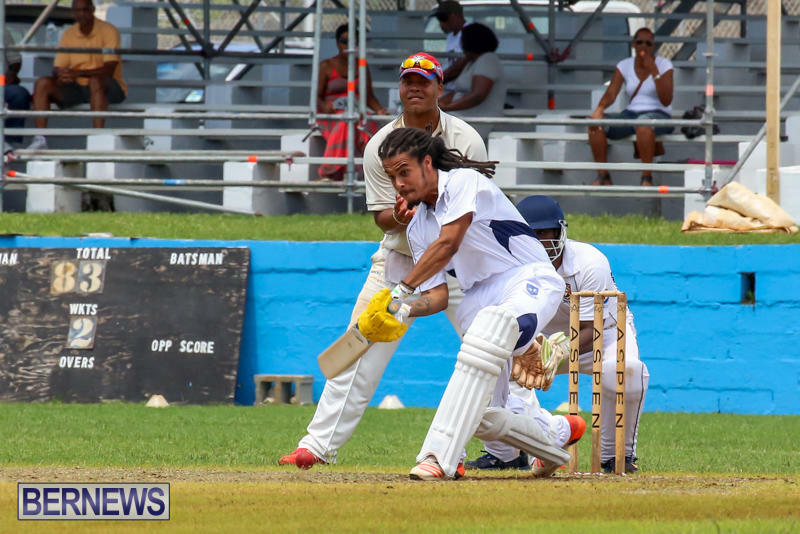 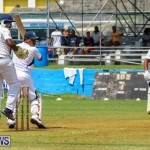 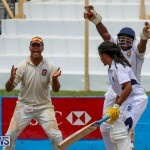 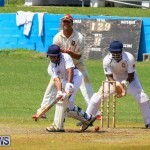 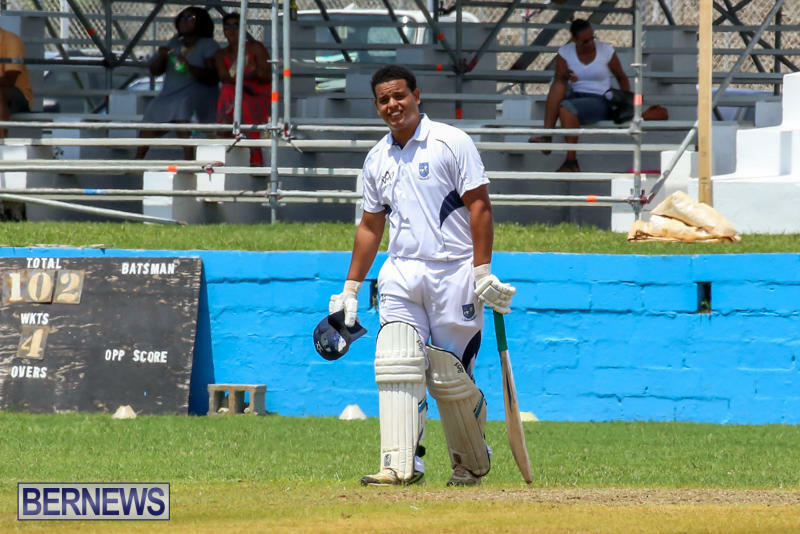 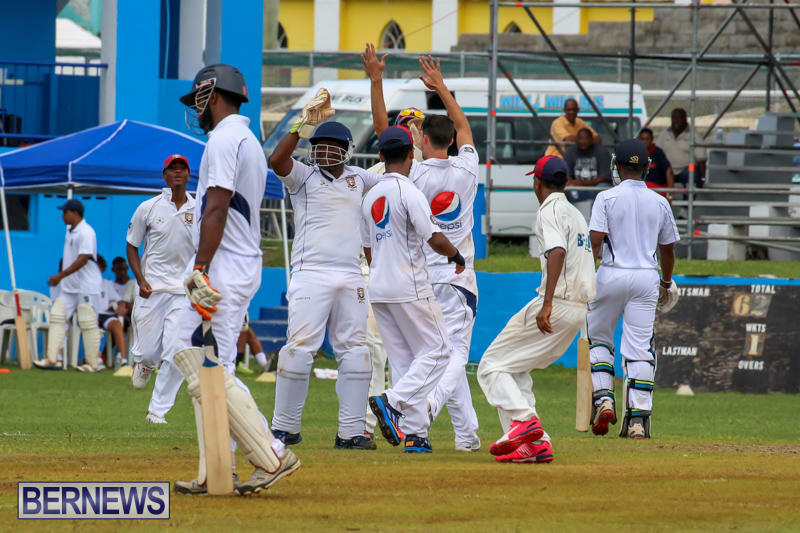 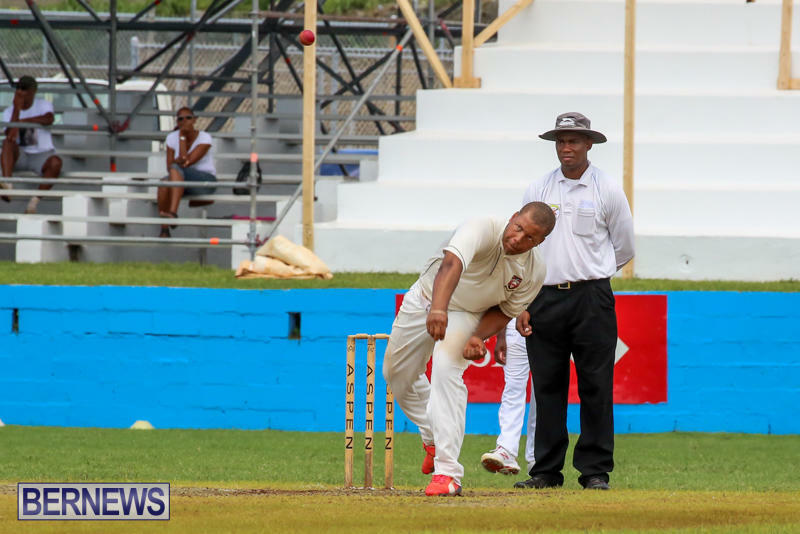 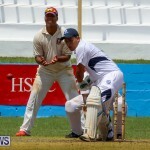 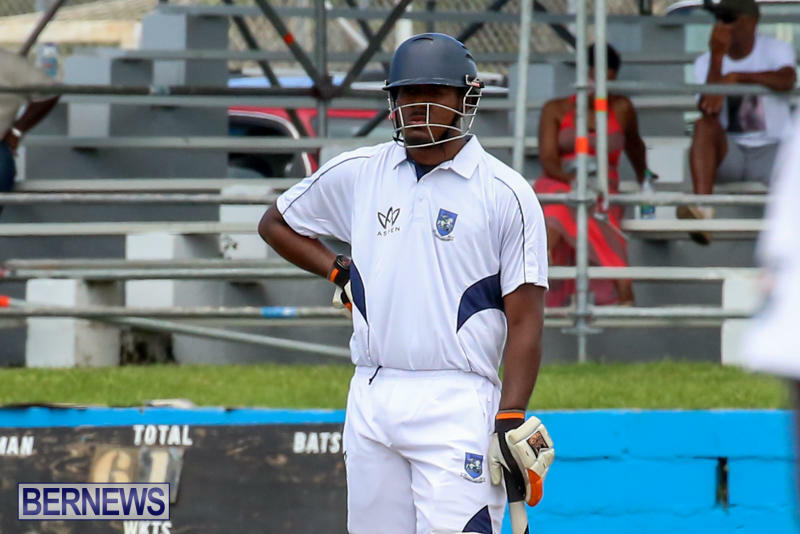 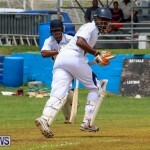 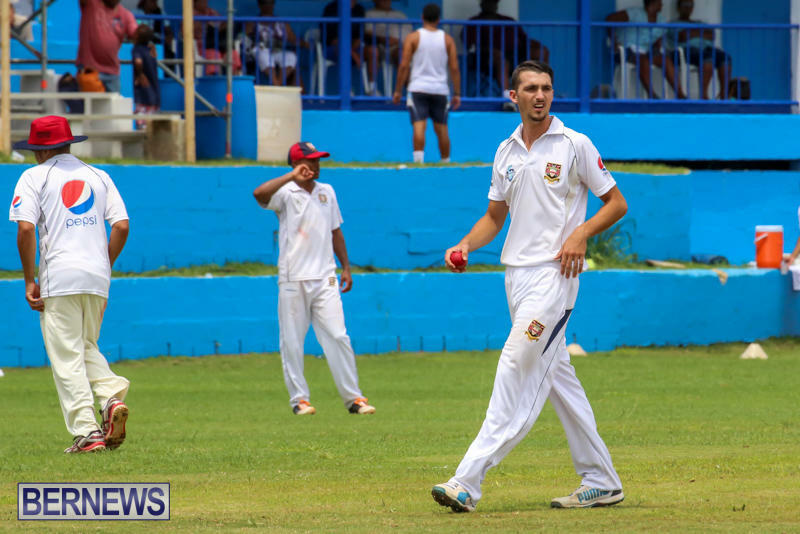 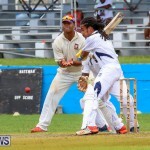 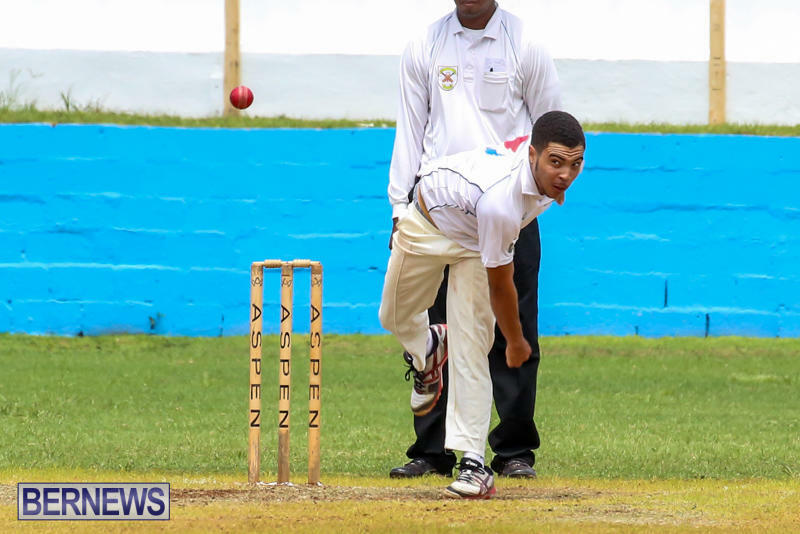 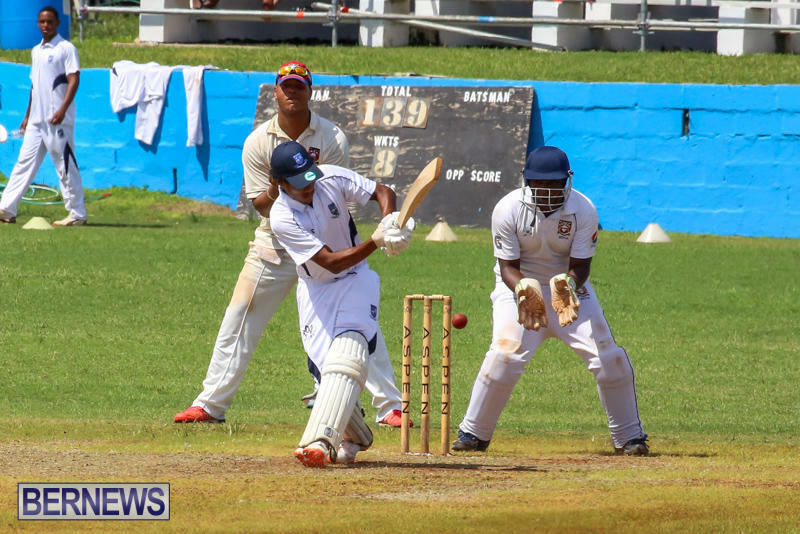 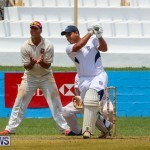 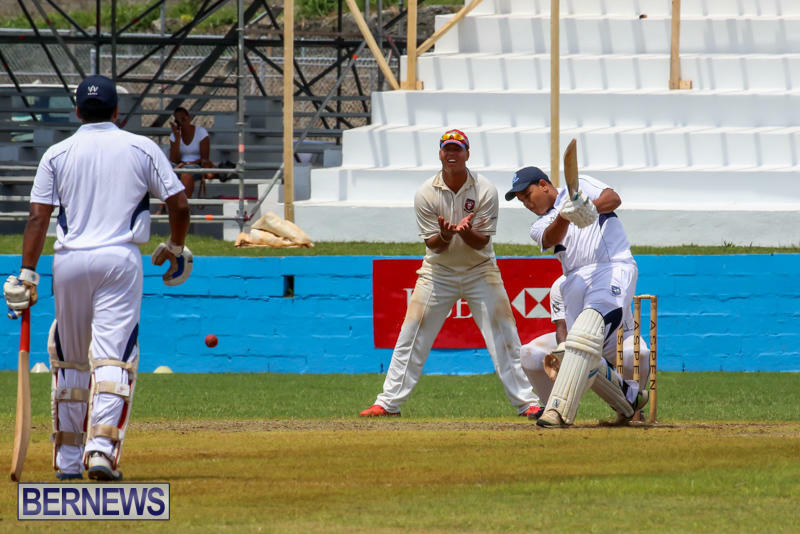 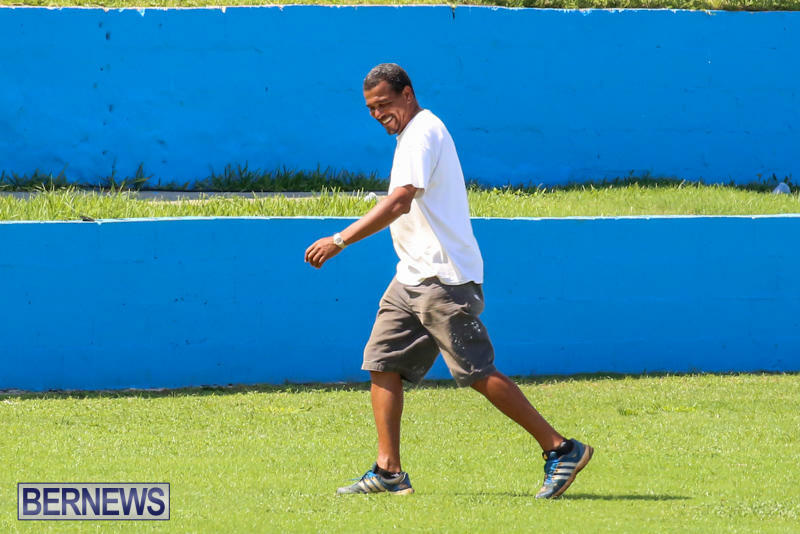 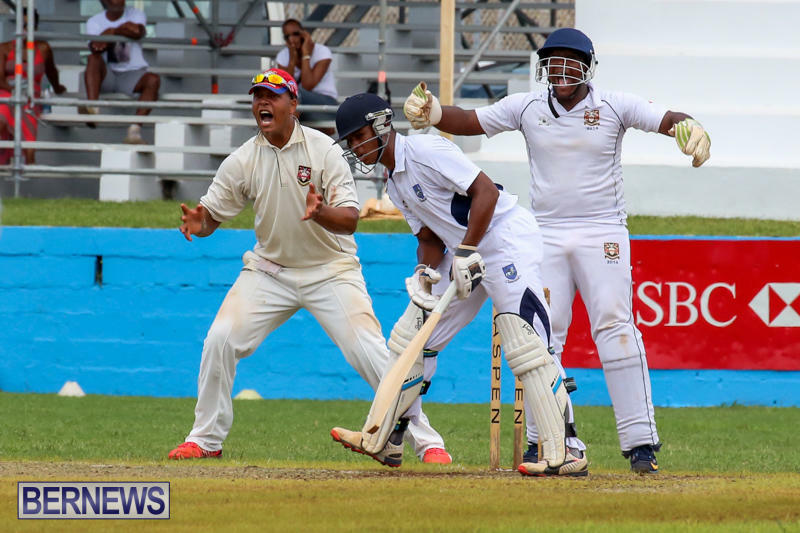 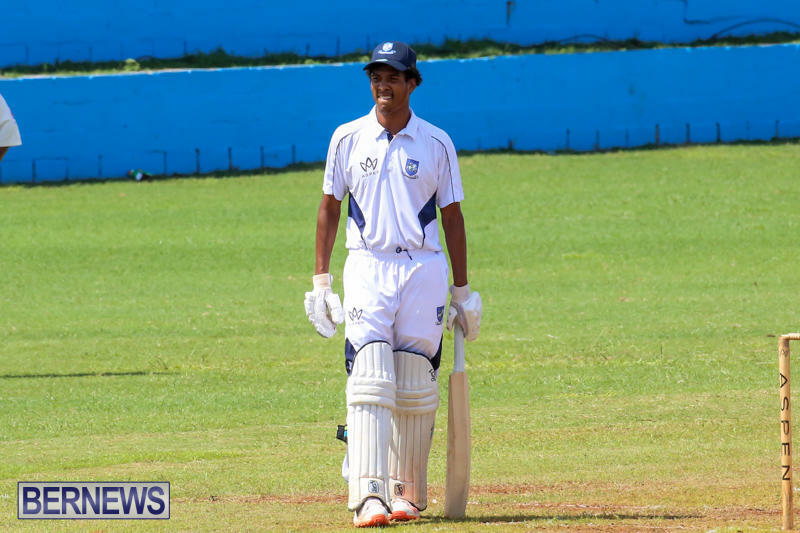 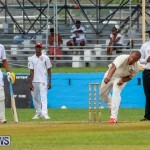 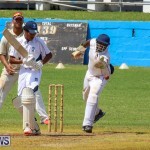 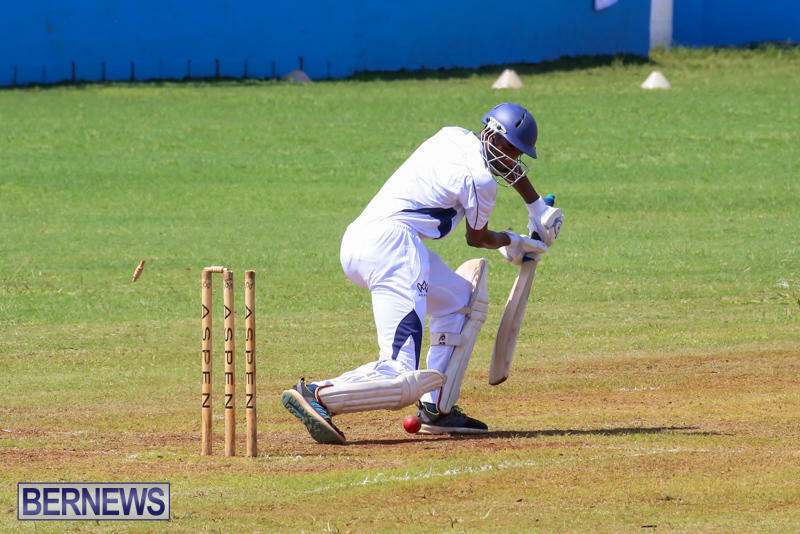 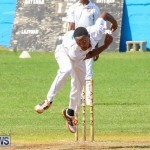 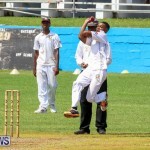 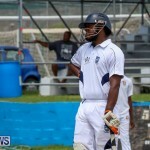 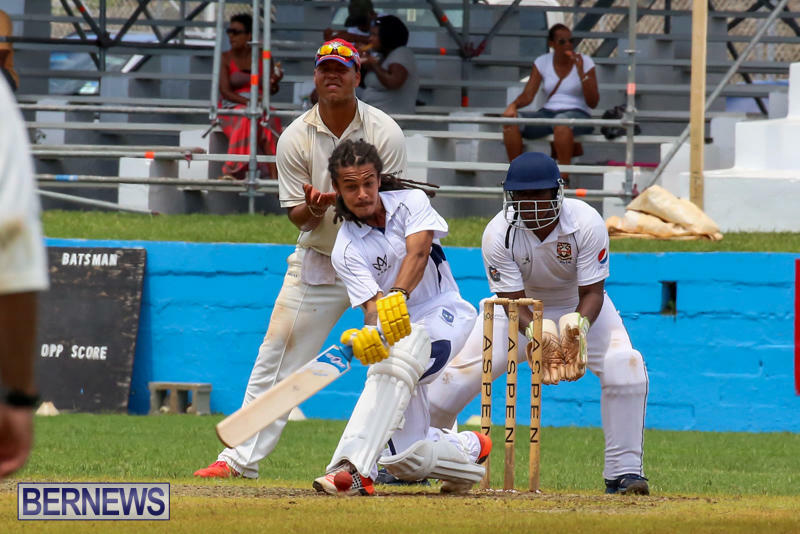 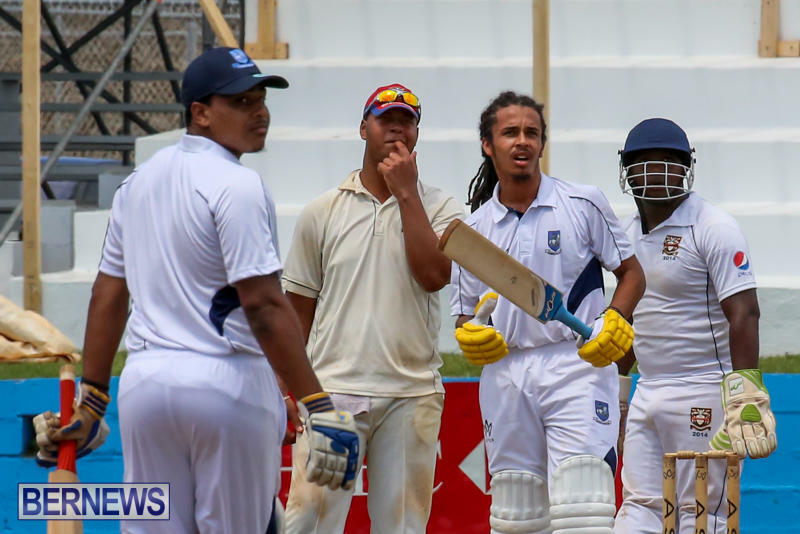 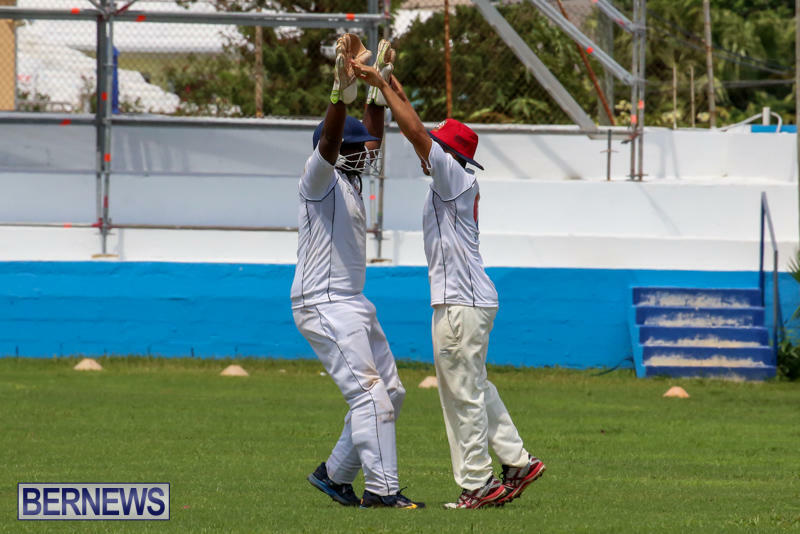 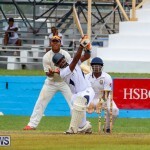 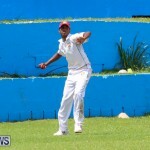 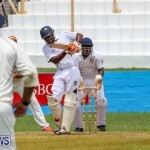 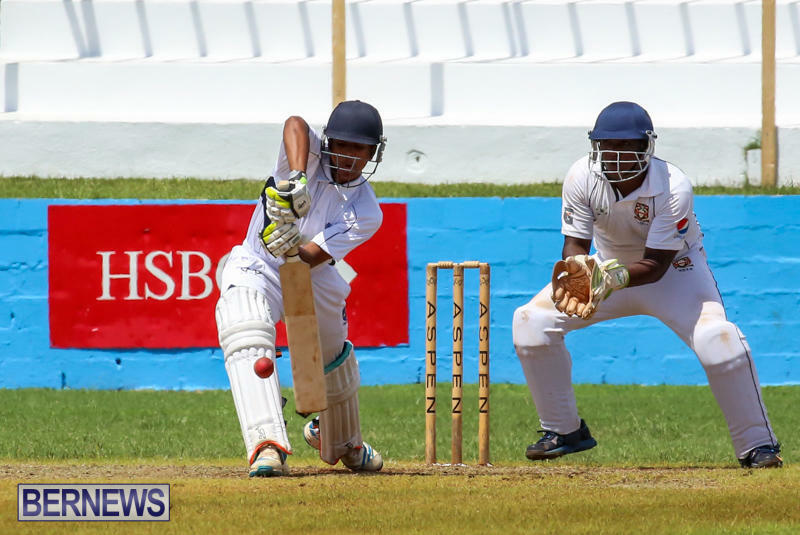 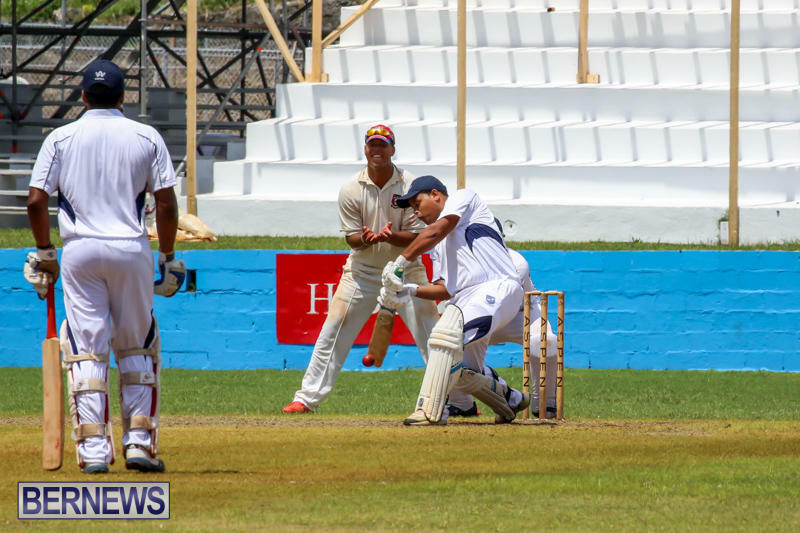 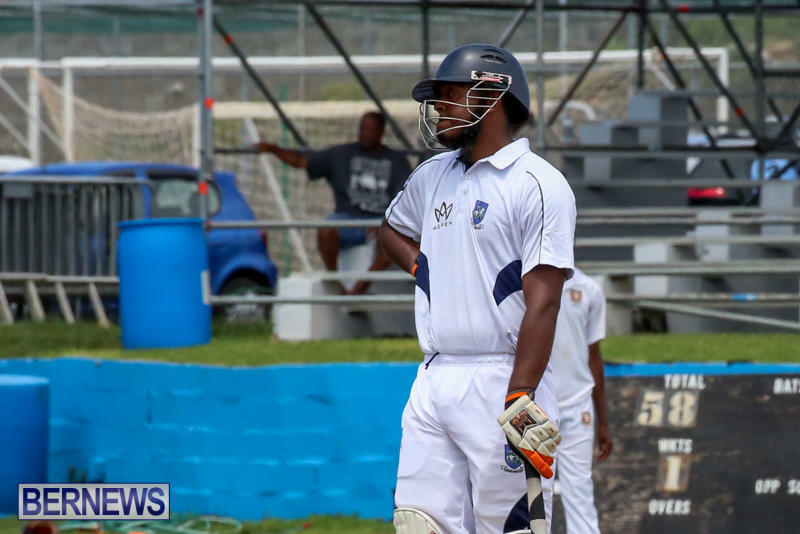 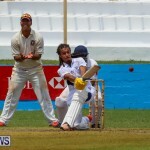 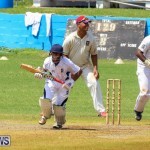 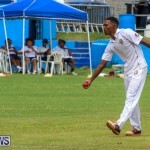 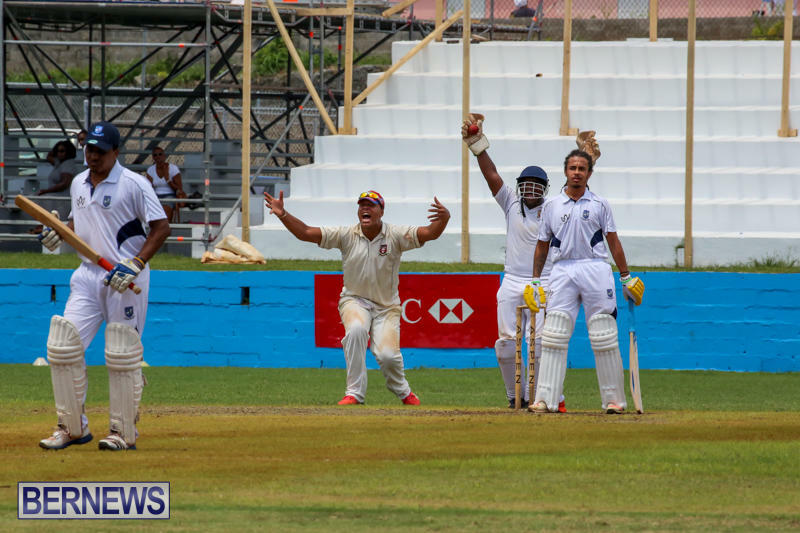 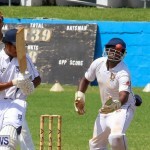 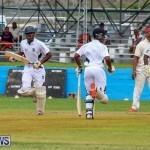 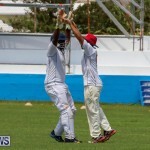 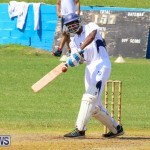 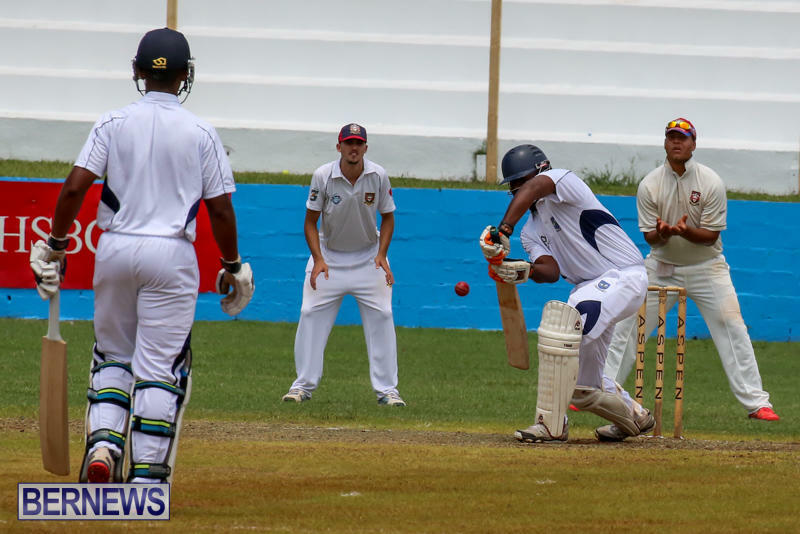 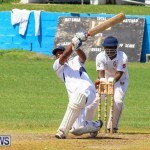 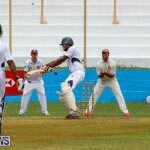 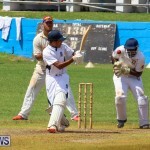 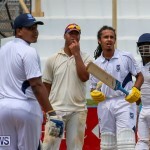 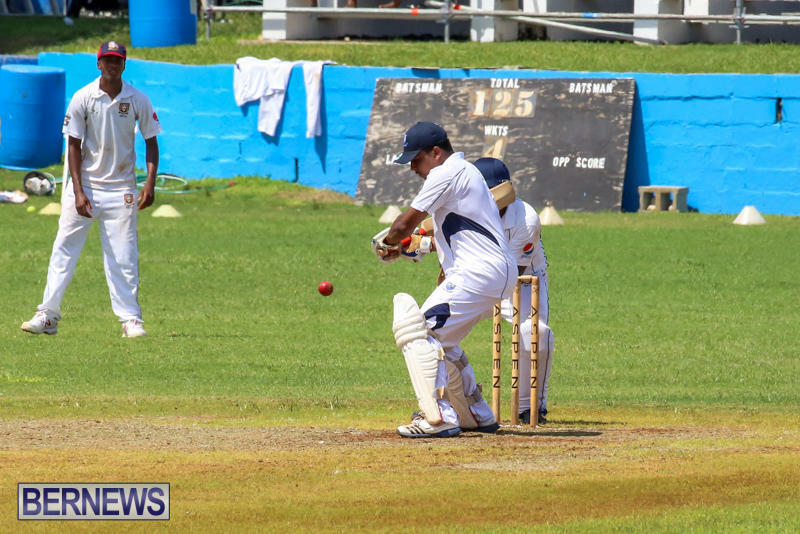 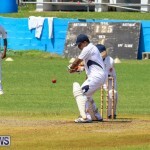 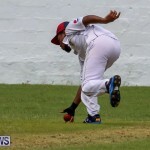 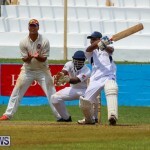 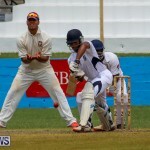 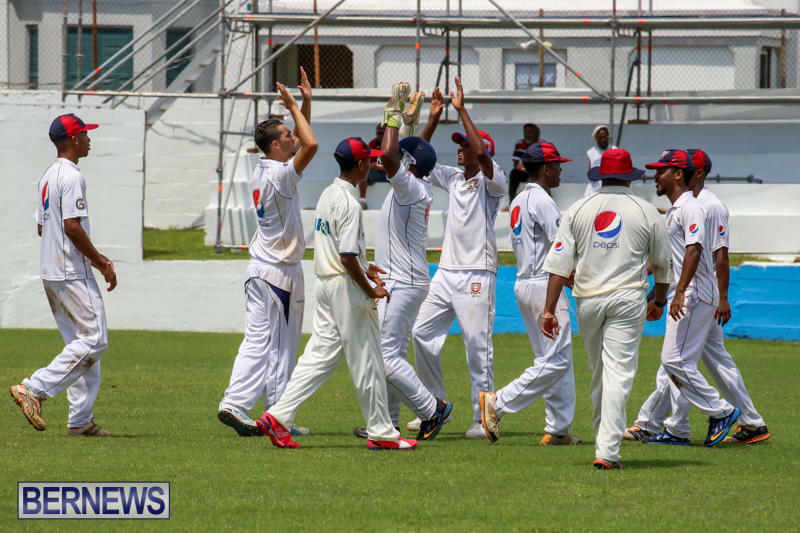 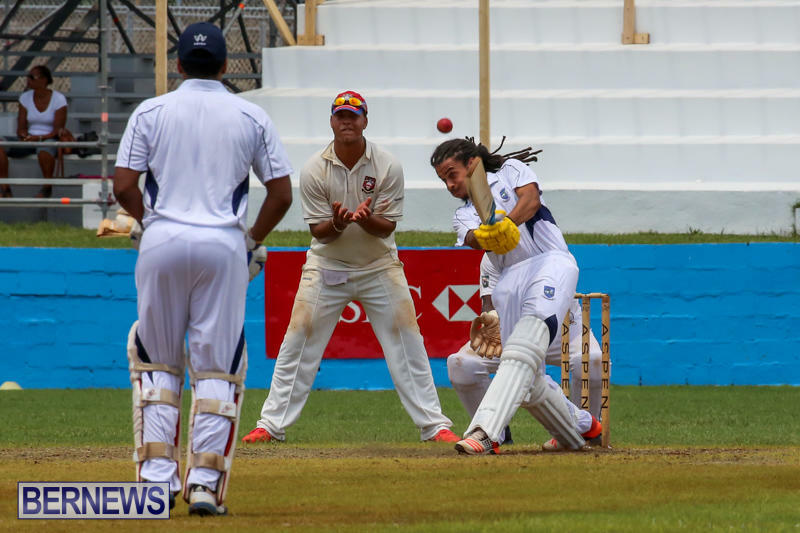 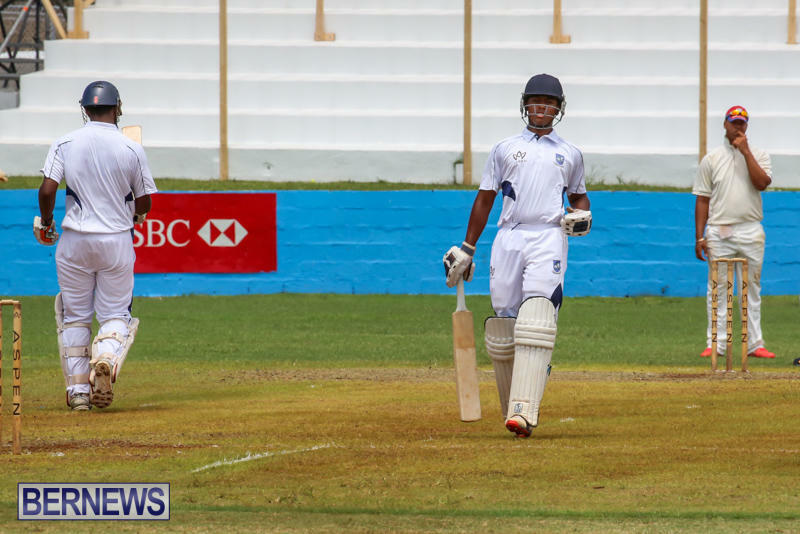 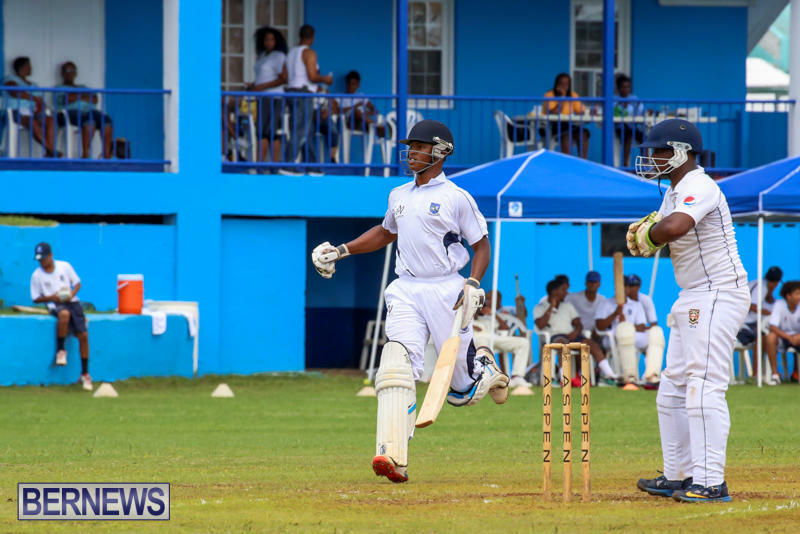 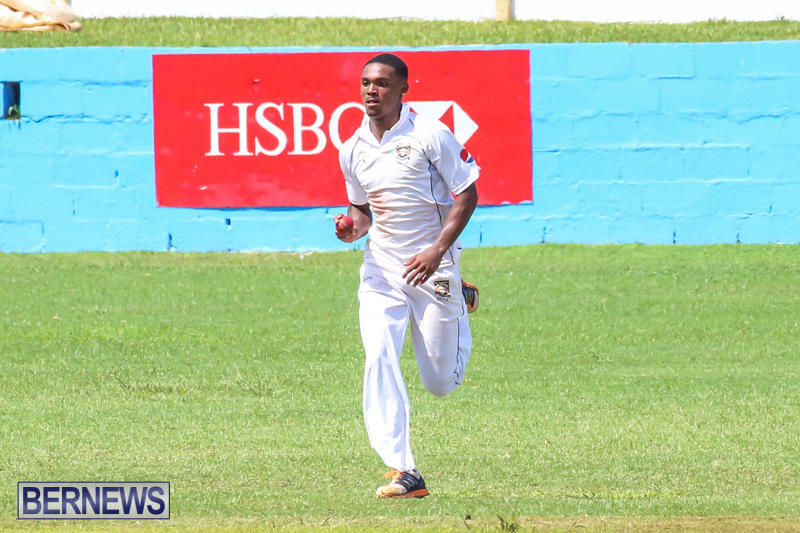 Jordan Smith was the pick of the St. George’s Cricket Club bowlers with figures of 14-0-41-3.